The most renowned and most visited trekking destination in Montenegro are Durmitor, Orjen, Prokletije, Komovi, Kuči Mountains, Bjelasica, Maglanik and Morača Mountains. 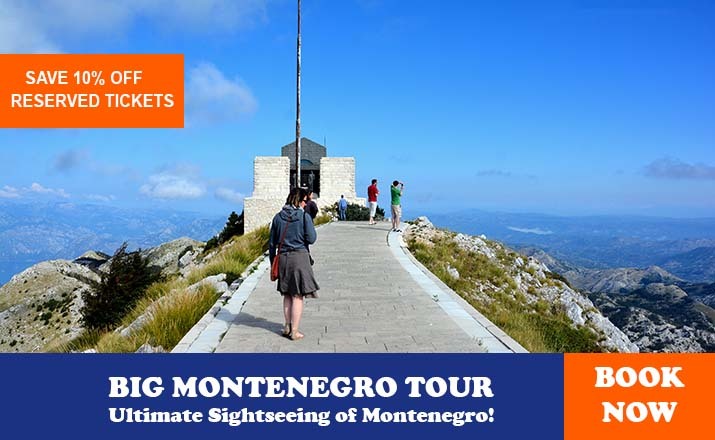 Good traffic connections, the existence of mountain administrative and tourist centers at their bases and relative recognition of their routes, place these mountains in the first line of Montenegro mountaineering offer. Although you can meet most mountaineers here, proportionally, mountains are still far from being overcrowded. The combination of isolation and companionship is still possible on their slopes, according to individual desire and mood. To say that Durmitor attracts as many mountaineers as all the other Montenegrin mountain combined is no exaggeration. Among the first discovered mountain destination, with its 48 peaks of 2000 meters above the sea-level, 15 high curvatures, 13 glaciers cirques, and 18 lakes, it has more than enough reasons for continually coming back to it. The highest peak is Bobotov kuk (2523m), while other peaks of outstanding attractiveness and beauty are Šljeme (2455m), Bandijerna (2409m), Prutaš (2393m), Minin bogaz (2387m), Savin kuk (2313m), Zupci (2309m) , Terzin bogaz (2303m), Međed (2287m), Šareni pasovi ( 2248m), Crvena greda (2175m) , Sedlana greda (2148m), Veliki Štouc (2104m), Lojanik (2091m) and Bokeljske grede (2091m). The largest lake is Crno jezero (Black Lake), at 1414 meters above the sea level and 49 meters of depth, along with Zminje, Jablan, Malo Škrčko and Veliko Škrčko, Zabojsko and Vražje Lake. At the very foot of Durmitor mountain is the administrative and tourist center Žabljak, from where all the roads spring up to mountains, (except to Boljska greda). Hotels, rests, camps, apartments and rooms in private accommodation in Žabljak offer something for everyone’s taste and budget. There is a seasonal home in Škrka, on the mountain, while the alpine bivouac in Velika Kalica and mountain shelter in Lokvice are open year-round. There are 27 marked and 12 unmarked mountain paths in Durmitor, and the most popular ones are winter and summer climbs on Bobotov kuk, from Škrka and Žabljak across Lokvica or Ledena pećina / Ice Cave, climbs on Međed and Terzin bogaz from Lokvica or Ledena pećina (Ice Cave), climbs on Međed and Terzin bogaz from Lokvica or Velika Kalica, climbs on Minin Bogaz from Lokvica, on Sava’s kuk and Šljeme from Virka, Prutaš, Lojanik and climbs on Sedlena greda from Dobri dol or on Crvena greda from Crna Gora across Sušice Lake and its canyon Sušice until Škrka. A large number of different tours with different scales of difficulty creates an ambience for numerous trekkers with unequal physical predisposition, experience and equipment , in summer as in winter , which still makes this mountain the most important mountaineering region of Montenegro. Orjen massif spreads over the borders of the three countries- Montenegro, Bosnia and Herzegovina and Croatia, dominating over the entrance to the Bay of Kotor. This mountain has been a starting point of mountaineers for very long , both from Boka, as well as from Dubrovnik area, which once built a mountain home on slopes. Orjen’s relief is a composition of characteristic shapes of Dinarides bare karst with Bosnian pinewood and many hollows, kerfs, caverns, holes, sharp cliffs and cuts. The highest peak is Zubački kabao (1894m), and peaks that also stand out are Pauza (1769m) on Reovac greda, Subra (1679m), Odijevo (1571m), Radoštak (1445m) and Veliko Ćedilo (1466m). The mountain can be reached by roads from Herceg Novi, Morinj, Risan and Trebinje. There are many very well marked mountain tracks on Orjen. Easy hiking lines follow the paths of Austro-Hungarian military roads, like the hiking path through Krivošije Ledenice-Crkvice, or lead to some of Orjen’s peaks. From the later, climbs on Subra, Zubači kabao and Reovačku greda stand out. Unstable microclimate with a big amount of rainfall is specific for this mountain. Starting from here is a Montenegrin seaside transversal, which leads to the coastal mountain cliffs on the line Orjen-Lovćen-Paštrovska gora-Rumija. Moračke Planine (Moraca Mountains) is a name for the mountain region located in central Montenegro, with massifs Kapa moračke, Lukovice, Lola, Torna, Umovi and Talija, located around the source and upper steram of the River Morača. Although situated in a small space, these mountains are clearly differentiated from characteristic relief shapes, like deep river gulches, valleys and kerfs, as much as plateaus. Actually, Morača itself which springs up and hides in its shadows, in the only joint denominator, something that connects and disconnects at the same time. Indentation of the massif causes a great variety of road access. You can visit Torna and Umovi from the direction of Kolašin to Gornje Lipovo, alternatively from Podgorica or Kolašin through Crkvine. Lola and the north slopes of Kape Moračke are accessed by the Podgorica –Kolašin-Mioska-Dragovića Polje road, while the western slopes of Lola can be accessed from Šavnik-Strug and Nikšić-Krnovo-Ivan-Bego Katun. Žurima and the south slopes of Kapa are approachable from the road Nikšić-Župa-Luka Bojovića-Kapetanovo Lake and Podgorica-Kolašin-Osreci-Ropušnica. 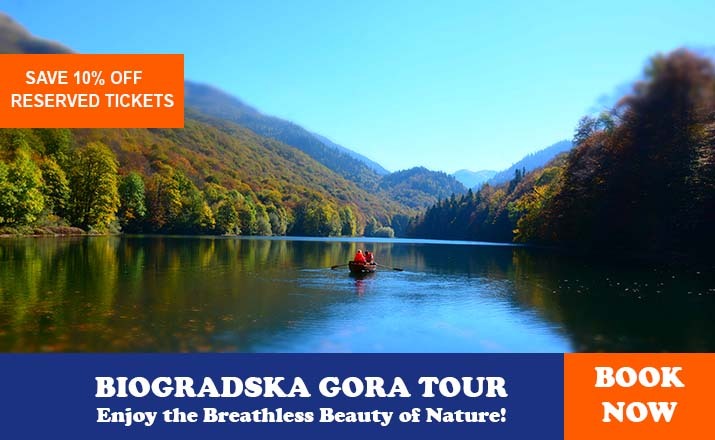 The region offers numerous and very attractive trekking tours, mostly with climbs on peaks above 2000 m. Standing out in their attractiveness are climbs on Torna (2277m) going from Gornje Lipovo, Umovi ( 1945 m), from Crkvine peaks Kape moračke, Zagradec (2217m), Lastva ( 2226 m) and Stožac (2141 m) from Kapetanovo Lake, Mali Žurim and Veliki Žurim (1962 m and 2036 m) from katun Ropušnica. Unfortunately, besides climbs on Torna or Bablji zub, which is partially marked, no path in marked with suitable mountain signs. Two glacial lakes on the south slopes of Kape Moračke, Kapetanovo and Manito give an additional allure to this massif. This, at first sight, inhospitable and impassable labyrinth of stone formations, is a real jewel for lovers of sharp and vertical mountain lines. The highest point is Međeđi vrh (2138 m), with several popular trekking tours leading to it. For now, there are no marked paths in this mountain and the navigation is difficult. But, Maganik, exactly because of that, enjoys the reputation of a real, untouched wilderness, where there is room only for the most persistent and capable. The exception is passing through canyon Mrtvice (between Velje Duboko and Meuriječje ). It is one of the most famous Montenegrin trekking tours. Since it is not that technically demanding, you can pay due attention, and be fully concentrated on the almost unreal beauty of the canyon. The track follows a well marked path, cut through during the first post WWII years, as a passage between then segregated villages of the Rovici area. The mountain can be approached from several directions, by roads Podgorica-Mrtvo Duboko or Podgorica-Međurječje- Velje Duboko or Nikšić –Kutsko Hill-Štitovo-Rekočica and Nikšić-Župa-Lukavica. With different geological origin from the other Montenegrin mountains, Bjelasica stands out by its slight and round peaks, grasslands, large and abundant forests on its slopes and glacier lakes whose beauty leaves a lasting impression, Biogradsko Lake, one of the last rainforest reservation in Europe, today a National Park “Biogradska gora”, is unforgettable. There are also Pešić, Malo Šiško, Veliko Šiško and Ursulovačko Lakes. The highest peak is Crna Greda (2117m), and marked or unmarked paths lead to it from several direction Kolašin-Berane-Mojkovac –Bijelo Polje. Among the most popular tours are climbs on Zekova glava (2117m) from Biogradsko Lake, Troglav (2072m) from Jezerina and Razvršje (2033 m) from Katun Lanište. From all over, roads leads lead to this mountain, so that you can come with a terrain vehicle close to almost every peak. Unfortunately, week-end tourists often leave behind piles of garbage. Bjelasica is equally suitable for winter and summer trekking, mountain biking, paragliding, snowshoeing and alpine touring. Komovi is the third mountain formation in Montenegro by its height. It is situated between the Kuči Mountain and Bjelasica. It is known by its exceptionally beautiful peaks, more and less accessible in winter and in summer. Komovi consists of two main groups: Vasojevićki Kom (2460 m) with Bavan (2252 m) and cliff and which is Ljevoručki Kom (2469 m), Kom Kučki with three peaks is similar heights : Južni Kučki Kom (2487 m), Rogamski vrh (2303 m) and Suvovrh (2211m). These two cliffs systems are concentrated with curvature, known as Međukomlje, 2171 high. Access is possible by the roads Podgorica-Veruša-Opasnica-Sumor-Carine, and Kolašin-Andrijevica-Trešnjevik-Štavna and Kolašin-Mateševo-Ljuban. There are various tours on Komovi, and the most famous ones are marked climbing lines on Vasojevićki, Kučki and Ljevoručki Kom , as well as the partly marked round and the around the whole massif, which starts from Katun Štavna, as the foot as Vasojevićki Kom . All tours in this massif should be taken very seriously; because of the exposure of the terrain and because of the real danger of lose parts on peaks and cliffs. Noticeable is the difference in the demography-while katuns on the north side are relatively well inhabited, empty cabins on the south side of Kuči is the only witness that people lived here once. At the foot of the mountain peak Sumo0r ( south slopes of Komovi), one of the most beautiful mountain churches in Montenegro was built. Simple and fitting in mountain ambience, it looks just as the first step from the earth to sky. Unfortunately, it seems that its’ bell rings only to the mountain and eminent above it. In deserted katunas, it echoes to remind of not so distant, but already forgotten times. To the north-east of Podgorica, next to the Albanian border, is the mountain region Kuči. 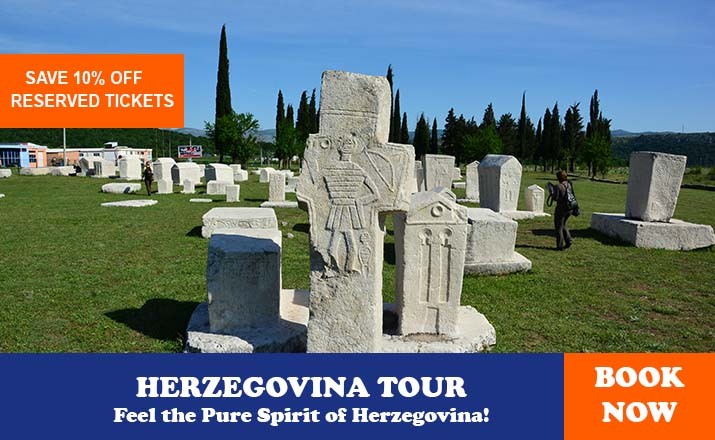 It is defined by enormous intended relief, with numerous valleys, rocky cliffs, over 15 peaks at over 2000 meters above the sea level and several glacial lakes, among which the biggest and most famous ones in Rikavačko and Bukumirsko. Parts of massif Komovi ( Crna planina, Maglič and Sovrh) as well as the entire massif Žijeva. In general, this area is treated as part of Prokletije range. The mountain landscape varies, from areas of bare karst with Bosnian pinewood at the south, to the beach wood in the north. Access roads left from Podgorica or Kolašin and there are several of them: Podgorica-Lijeva Rijeka-Veruša-Širokar and Podgorica-Lijeva Rijeka-Brskut-Bukumirsko Lake-Širokar and Podgorica-Ubli- Kržanja-Kastrat- Bukumirsko Lake-Širokar and Podgorica-Ubli-Rikavačko Lake-Širokar. From Kolašin you can arrive by Kolašin-Veruša road. Roads from Veruša, Brskut, Kastrat and Korito are asphalted, the following macadam is of unequal quality. The most popular tours in this area, depending on the time of the year, physical preparedness and group organization, refer to the surroundings of the peaks in the region of Bukumir Lake-Pasjak (2051m), Surdup (2184m) and Štitan (2165m), area of Rikavičko Lake with dominant peak Vila (2093m) and mountain cliff Maglič, with peaks Lumer (2141m). All these peaks are accessible in summer as in winter, although winter climbs on Vila and Pasjak demand advanced knowledge of alpine climbing techniques in winter conditions, more equipment and longer experience. Several directions on the mountain are completely or partly marked- climbs on Žijevo (2131m), from the west side, Velja Šila (2022m) from Kastrati, Treskavac (2024 m) from northeast going from Momonjevo, Šitan, Surdup and Pasjak from Bukumirsko Lake and Maglič from Širokar. The rest of the paths, like climbs on Vila and Štrungeze (2053m) from Rikavačko Lake, Vilijar ( 2121m), Treskavac, Surdup and Šila from Trepetljikov dol, or Smojan (2024m) going from Koštica, are not yet marked with mountain although they are quite visited. For those whose goal is not exclusively reaching peaks, it is possible to spend more days on trekking tour, whose longest version starts at Korita, leads across Koštica, Rikavac, Širokara, Maglič, Kozelj , Konjski grob and Sumor to Carine at the foot of Kučki kom, partly concurring with and old transversal CT1, that leads from Veruša across Komovi, Bjelasica and Sinjajevina towards Žabljak. The sector is marked, and it follows a line of macadam road from Korita towards Rikavac and further to Širokara, that is from Konjski grob ( Horse Grave) to Carine. Two to three days are needed for its crossing, depending on physical preparedness and the weight of the rucksacks. A very small part of the massif Prokletije belongs to Montenegro, but the heights and beauty of them overwhelm all the other local mountains. 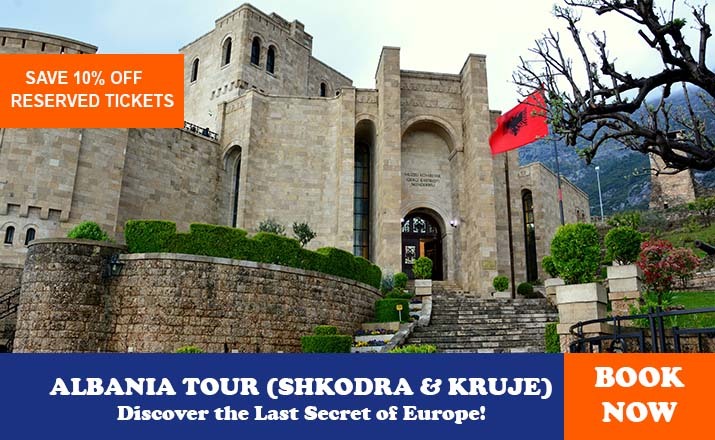 Relatively narrow area in the northeast part of Montenegro, along the Albanian border and on the territory of towns Gusinje and Plav, hides many secret paths harder to reach, but more and more visit. The Montenegro Prokletije consists of a few minor massifs, separately by deep mountain valleys. Those are the massif Trojana (2189m) in the west, then Karaula group (1975m), Popadija (2057m) and Volušnica (1879 m), crest Karanfil-Vezirova Brada with peaks Sjeverni vrh ( North Peak) ( 2460m), Srednji vrh (Middle Peak) (2490m) and Južni vrh (South Peaks) (2441m), Očnjak (2185m), Hadžijino brdo (2028 m), Obla brdo (2028m), Karanfili Ljuljaševića (2240m) and Podgoj ( 2119m), also Bjelič, with the highest peaks in Montenegro: Maja Kolata (2528m) , Zla Kolata (2534m) and Maja Rosita (2525m). Valley Grabaja segregates Volušnica from the cliff Karanfili- Vezirova brada, while Rapojana segregates this clif from the massif Bjelič. Mounatin peaks are reflected in several lakes, among which the largest one is Plavsko Lake and at the highest point is Hridsko Lake, while streamlet Grlja supplements the hydrologic segment, whith its source in the valley Ropojana, known as Savino oko (Sava’s Eye) and the River’s canyon of exquisite attractiveness, from which is flows out under the name Ljuča. The first slopes of the mountain can be reached by roads Gusinje- Grbaja, Gusinje-Vusanje-Zastan and Plav- Babino polje-Hridsko Lake. 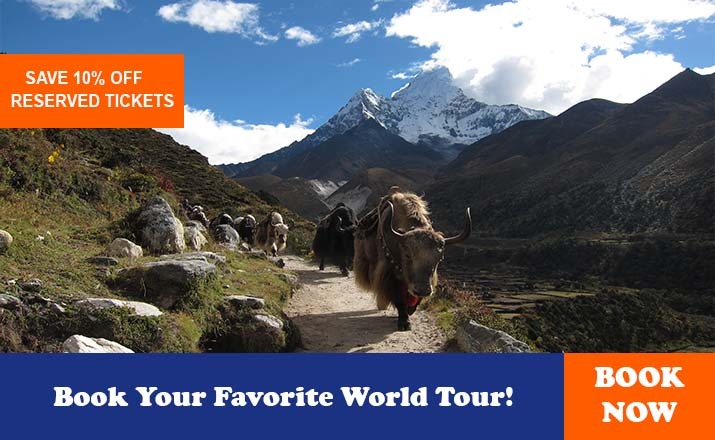 The most popular trekking tours of this region lead to some of the afore-mentioned peaks. From the valley Grbaja marked paths lead to Volušnica , Karaula, Talijanka and Popadija, through Krošnja on Hadžijino brdo (Hadžija’s hill), North (Sjeverni ) and Middle (Srednji) peak Karanfil, and through Ljubokutić to the Očnjak nad Karanfil Ljuljaševića. Worthy of attention is the even shorter tour to Donje Kotlo, beneath the west side of Sjeverni vrh (North Peak) which ends in unreal ambience, surrounded by hundred-meters high vertical cliffs. From Ropojana, tour leads across Zastan to Maja Rosit, that is across Žarunica and katun Grlate at Maja Kolat. From Hridsko (or Ridsko ) Lake, the climb lines lead to thepeaks Bogićevice Hridsko krš (2358 m), Krš Bogićevice (2374m) , Pasji vrh (2405m), Starac (2552m) and Maja Rops (2501m). For those whose main goal is not reaching the peaks, hiking through Grbaja, Ropojana or terrain around Hridsko Lake (especially suitable for those in not such good shape or less equipped) will bring nothing short of a fairytale atmosphere in the surreal beauty of the area. In winter conditions most of these tracks represent serious alpine climbs, but there are easier and less dangerous tours like Volušnica, Popadija or Kranfil Ljuljaševića. 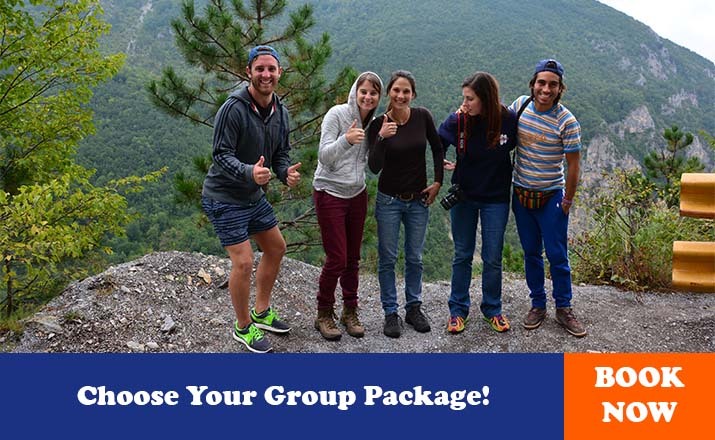 All four season create good conditions for diverse trekking activities. Winter months, especially in higher mountains areas, provide an excellent milieu for long tours on snow and climbs on peaks, of the same color as clouds. Although it is not a general rule, the end of winter and the beginning of spring are the best periods for winter trekking, because of largest amount of snow drifts and their stability firmness. Unfortunately closeness of sea brings rapid penetration of warm and wet air, frequent rainy periods, and thereby, aggravated conditions for all sport activities in this open. This is especially important four mountaineers because it increases of danger of avalanches, so that sometimes it is impossible to plan winter mountain action long term. The recent trend of warmer winters does not favor to any of those activities, but the trekkers are perhaps the least touched category. Regardless of winter conditions, some lines will be fine, some climbs possible and some path passable. The choice is so big, that you will always, with the least acceptable weather prognosis, be able to enjoy the surroundings of local mountains, with the snow sputtering and crunching under your soles. Spring, summer and autumn, each in its own way makes the story easier or harder. Temperatures are generally above average, which is not bad in spring and autumn, but in summer it sure is a problem. On the mountains , spring is maybe an ideal period, with the best conditions for the most diversified experiences in the world, with the most persistent snowdrifts, flourished greenness of young leaves, worm sun that still not too hot, while the day is long enough for planning some longer tours. Autumn is the time of the most beautiful colors and light, but with shorter days and frequent rains. Summer months, when the most people visit the mountains in Montenegro, bring severe heat, which is more bearable in high altitudes. During that time, trekking along Komovi, Prokletije and Durmitor, is not only a matter of hobby, but also a shelter from the heated city’s concentrate, such that you need a jacket or sweeter in the evening. As much as the days are warm, night always bring coolness for a refreshing sleep. Starting from usual understanding of alpinism as the adventure of climbing high rocks, Montenegro could easily be described as a God-given land for this kind of mountaineering. Almost all its mountains have at least 100m high boulders, and even that height is exceeded by its canyons verticals, while the diversity of climbed and potential routes covers almost all known alpine categories. 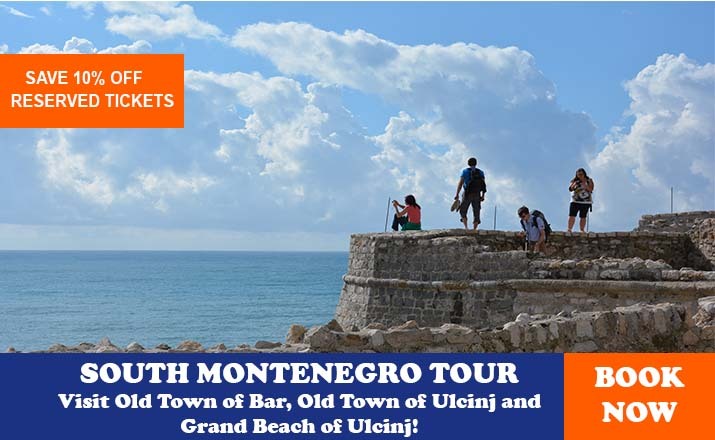 Most known and attractive alpine destination in Montenegro are Prokletije and Durmitor, or which there are as many paths in dry boulders, lines in snow, ice or mix. Žijevo and Orijen, thanks to the good quality and attractiveness of their boulders, are becoming more and more visited summer climbs, while Komovi keeps the reputation of a classic winters climb. Canyons of Tara, Piva,Komarnica,Morača, Mrtvica, Cijevna and Lim, as a treasury of uncountable high rocks are still almost untouched, with only few climbed routes. Many peaks, with exposed rocks and relatively easy and clear accesses on several locations, contribute to connection of significant number of alpine activities in Durmitors terrain in Montenegro. In the central massif, boulders heights range from 100 to 500 m (Crvena greda), and the highest ones are in the Boljske grede are, where they reach even 700m. Boulders are limestone rocks of various quality, but as there are so many of them it really isn’t a problem to find one with suitable firmness, weight and aesthetic. Mountain is equally suitable for climbing on dry bolder and climbs on snow and ice. By now, hundreds of routes have been climbed, but since the data is scattered through guides, archives and collections of different organization, clubs and individuals, information about routes is quite inaccessible. The most famous boulders like the north Šljeme boulder, Osojne grede, Pleća, Bandijerna, Međed or Terzin bogaz are frequently visited, with now famous lines, which are already considered as “classic”. Winter routers are “Žljeb Šljeme-Pleća” (300m, III, 60˚), directly above the bivouac in Velika Kalica under Šljemen, as well as couple of lines in Osojne grede of Šljeme boulder, above the ski track Savin kuk. They are interesting because of the quick access, relatively short and attractive climbing and possibility to catch couple more ski drivers and the path. There are significantly more rock climbing routes, and the most interesting ones are within the short distance from the central massif where most climbers are located on the large north Šljemen boulder. These routes have been rarely reused during the last years due to the loose rocks. The most famous are “Direktni” (400 m VI, IV) and “Diretissima” ( 400 m VI) but for years no one has come there. Boulder with better quality is on Bandijerna, were there are several easy lines for beginners and less prepared climbers or Trezin bogaz, Zupci and Prutaš. During the last years, the peak Lojanik, above Dobri dol, attracts attention, where, there are several interesting directions of different difficulty in a good limestone. Yet, the main alpine asset of Durmitor is Boljske grede, seven kilometers wide boulder wall above the left shore of Komarnica. Maximum height of the boulders is 700 m and only one route has been climbed so far, while several lines where climbed in the lower part of the boulder, whereof, “Another Day in Paradise” (250m, VII+), certainly, wasn’t only the hardest but the most attractive one. The route is in a part of boulder whose segment, around 200m high, is on the border of half access and easy climbs, while the upper barrier (200-300m) leads to a couple of interesting boulder towers, clearly visible from the valley. History of climbing in Prokletije is a lot shorter than in Durmitor, but this region is rapidly becoming the most popular and most important alpine destination in Montenegro. Primarily because of the highest cliffs in the country, whose height reach even 1200m, but also because of the unique beauty of mountain landscape that irresistibly reminds of the sharp peaks and rocks of Central Alps. Short and easy routes are the rarest ones here. Among the category of classic lines, “Greben radnički” on Očnjak or “Sjeverni greben” ( North Cliff) ( V, III-IV, 500m) on Sjevrni vrh, ( North Peak) or Karanfil , should be mentioned. The most significant routes in Prokletije are the longest and the hardest ones in Montenegro in general. Primarily, these are the routes “Prvo koplje” (VI+A2, 700m), “Greben Prestola” (800m , V+, IV), “AKA” (VI, A2, 700m ) and “Dobri drugovi” (VI, 700m) in Karanfil, which have witnessed many attempts, frequent failures and legendary anecdotes. The south rock of Karanfil, which descents to the periodical Ropojansko Lake, is the highest rock in Montenegro, of around 1200 m. There are several routes on it, and not a single one of them has yet been repeated. Among the mentioned routes “Prvo koplje”, up the rock Koplje on Sjeverni Vrh ( North Peak) stood out as a real attraction for many Slovenian and Polish expeditions during the sixties. The first climb was made in 1972 while its first repeat, despite numerous attempts, had to wait until 2005. In its complexity, this line reminds of big wall routes, consisting of both free and technical parts of serious and constant difficulty, with hanging reinsurance and frequent problems in navigation. Route can be climbed in a day, but for those opt for version with bivouac, first usable shelf is on about 400 of height. Winter routers on Prokletije have a great aesthetic value, but also a relatively high degree of avalanche danger. Because of the closeness of the sea, this region is characterized by sudden melting and rainy periods, which seriously affect the stability of snow caps. The most popular winter routers, which more or less follow the lines of summer via normal climbs on Očnjak and Sjeverni vrh ( North Peak), are true example how technically undemanding climbing can turn into a real nightmare if you come in a time when the mountain is not in a mood for guests. Furthermore, not only the parts in rocks are jeopardized by avalanches, but also the access through the mountain hollows Ljubokuć and Krošnja. Prokletije’s territory in Montenegro should not bel neglected from the alpine aspect. Until now, only the peaks and rocks of Grbaja valley and Ropojana were exploited. Since these areas are not even close to being exhausted, boulders on Bjelič, Kolate, Maja Rops and other peaks and areas of Montenegro Prokletije, certainly deserve interests and attention. This mountain in one of the “youngest” alpine destinations in Montenegro, as the first routes were climbed up to late 20th century, during 90’ s. They are mostly located on the peaks and in the boulders of Bukumirsko Lake region, at heights of 100m to 200m and until now, somewhat more than 30 lines with different difficulties where climbed. The sedimentary rocks’ quality is generally good, especially in a more uphill and exposed coating like on a southern rock Velja Torča or east rock Kožje Plane. Maybe the most beautiful route on the mountain is “Lullaby for Vesna and Bojana “( VI, A3, 120m) on the south rock of Velje Torča, devoted to Vesna Drakulić and Bojana Tekić who died during the climb along the west cliff of Pasjak, one of the most noticeable peaks in the mountain. Žijevo is suitable for winter alpinism too, but climbing up some peaks like Veliki Toljevac, because of large amount of grass and relatively looseness, makes sense only if snow with its squeeze pressure creates firm and compact climbs. Besides, the dominant north orientation of Žijevo’s boulders enables longer snow retention and its sagging into the hollows, thus creating a very rare and rich winter climbing place. Orjen has perhaps the best rocks quality in Montenegro and the most famous alpine location on the mountain is Markov koš or Surbin amphitheatre, high about 350m . On it, there are about ten routes, with average difficulties from III to VI on the UIAA scale. “Reovac greda” is also interesting, even though somewhat less high, its quality and aesthetic of morphological shape attracts great attention. Routes in Markov koš and Reovačka gerda are not even near carriage-road, nor mountain home, therefore it is necessary to plain couple of hours for access and descent by, hopefully, well marked mountain paths. That is why camping at the base is probably the best choice. Expert these locations, where rocks make a strong impression with their grandeur and expositions, somewhat smaller rock in Miškova greda, 15 minutes from home “Vrtlar” also deserves a mention. In this rock there are several routes at 50m, altitude with middle and lower grades of difficulty. Because of the great looseness of the boulders, Komovi are primarily a winter climbing place. Many technically undemanding lines enable interesting and productive climbs during favorable snow conditions. The most attractive one is “Dijadema” –continuous cliff of Vasojevićki Kom, Bavani, Kučki and Ljevorečki Kom. Besides that, extended west rock of Vasojević Kom, 400m high is a very interesting ground, with numerous possibilities for snow and mixed lines of different difficulty. Local climate conditions are more suitable for rock climbing than for snow or ice climbing. Despite a large amount of snow fall and the drifts thickness, closeness of the sea causes short periods of cold and stable climate, needed for consolidation of snow surface, so it is necessary to check the weather forecast carefully when planning the climb. Microclimates in individual areas are also very distinguished, so that, for example, Prokletije has much more warmer and rainy winters than Durmitor, which because of its distance from the sea and relative overshadowing by other mountains chains offers much better conditions for climbing on snow covered boulders. In general, March and the beginning of April are considered as most reliable monthly periods that should be avoided. Although, planning ahead for long term may be difficult, the openness of these regions to sudden burst of warmer as also colder air masses can at any moment give a period when temperatures are low enough, and snow pack is high and firm enough to church under crampons or ice-axes. Season for rock climbing lasts throughout the whole year, depending on the sea level altitude and exposition towards the Sun. Rocks in lower areas with mostly southern expositions, are winter shelters for those whose access to higher mountains is withheld by snow, while coldness pushes them away from the shadows on north and west sides. Equally, with warmer weather climbing on the big mountains and canyon rocks becomes popular, especially during summer months that provide favorable conditions. During the all seasons, rainy periods are frequent in the mountains, but they are lot shorter during the summer and it takes less for climbing routes to dry. On the other hand, autumn and spring temperatures are completely acceptable for climbing these rocks during dry intervals, especially if they have lower starting points or bigger parts exposed to the sun. In general, July and August are the main season in high mountains, April, May, June, September and the beginning of October are the main season in the rocks of north and west exposition on minor altitudes above the sea level, and the rest of the year is reserved for boulders exposed to the sun from the other side of the mountains. Of course, when there is no rain. NOTE: Montenegro boulders have a limestone configuration, characterized by higher or lower level of loose rocks, depending on location. In some areas the quality of boulders is generally good, in some is not, but the fact is that most, especially lounger routes, have at least one loose section. It is interesting that the routes, on boulders that are not of such good quality, are still popular, mostly because of their lower grade of climbing difficulty or short areas. In both cases, following the path of least resistance can be counter-productive, especially for less experienced or less ready rope teams when they possibilities, as an objective and persistent danger still remains in unstable and loose terrains across which the route is passing. There aren’t many arranged and equipped polygons for the free climbing in Montenegro. Although the potential is immeasurable, this sport is undeveloped and has not yet been recognized as an attractive part of the tourism offer, so the investments are small too. Yet, with enthusiasm of individuals and smaller organizations, several boulders are equipped with routes that by their aesthetic, difficulties and dimensions completely correspond to the modern world trends. 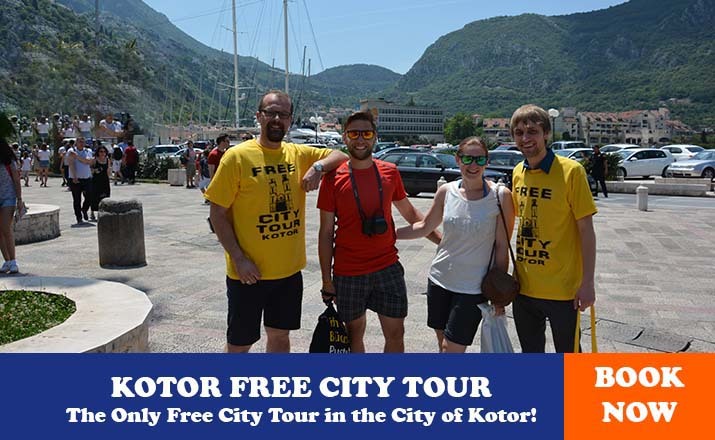 In Kotor, Ljuta, Dobrota and Herceg Novi several routes with diverse difficulty levels are equipped, ranging from 10-40 m in height. The climb in Kotor is located above the bus station, with firm and demanding bouldler, around 40 m high and 150 m wide. Routes on the very end of the left part of coating, with southeast exposition, don’t reach the peak of the rock, roadsteds are set up at about 20 m of height, and they are difficulty within the spread of VI+ to VIII- of the UIAA scale. Existing routes are equipped with glued axels, run-outs are short, and no matter how much we enjoy the climbing, your eyes are constantly wandering on the still untouched and unequipped lines. This climbing place has a large potential that maybe waits just for you to leave a route as your own legacy. In Ljuta and Dobrota there are around the routes designed for the beginners and climbers who look for enjoyment on lower degrees of difficulty. On both climbing spots, five to six directions are arranged with identical characteristic, on firm and solid boulders and with short access. Above Herceg Novi, minor exercise grounds are equipped on the boulders Čakotin and Šilobod, as training polygons for speleologists and climbers. The famous free climbing polygon in Montenegro is located in the area of the main city in a little village Smokovac, on the way out of Morača Canyon. The cliff is about 30 m high and 200- 250 meters wide, which accentuated heights and characteristic relief created by calcium-carbonate sedimentation. Its general orientation is towards west, so even during the summer months it provides good conditions for morning climbing (until noon), although the best climbs are during the spring and autumn. Access is short and arranged; the terrain below is the routes is flat, suitable and securing. Difficulty is ranging from V+ to X-, and the routes above the VII degree dominate. Although the equipping of these routes has started recently, the quality of the rock and attractive routes have already promoted this climbing spot as a leading Montenegrin climbing spots in this category. There is one more equipped rock in Podgorica, in the very heart of the city, on Ljubović Hill. The routes that range from IV to VII+ difficulty provides an easily accessible rest for those that don’t have too much spare time, but yet wish to somehow break the usual rhythm of functioning the city’s uproar and rush. Near the monastery Ostrog, in the Povija village, there is a climbing area with routes of diverse heights, from short bolder problems to classical multipitch lines. The equipped part is the 1-20 m high boulder, characterized by a tower shape, where climbing is possible from all sides. Difficulties are in V-VII range and their south orientation, without wind interruptions, make climbing pleasant even during the sunny winter days. On Jasenovo polje, few kilometers north from Niksic, towards Šavnik is a rock, also equipped with several routes. Up to 20 m in height, route difficulties are in the VII-IX range. The only artificial cliffs in Montenegro are, for now, in Nikšić. The first in on the outside wall of the unfinished Dom Revolucije ( Revolution Center), accessible to all and the other is in the indoor Sport Center. Climbing on its possible by arrangements with the members of Mountain Skiing Association “ Javorak”. On the way of Kolašin towards ski center “Jezerine”, in the Biočinovići village, there is an equipped free climbing polygon on a 40 meters high crag. It is dividend in two sectors, where the first one is directly next to the road, while the other one is ten minutes away, along the path through the woods. Terrain is situated in the pinewood shade and offers excellent conditions for escape from summer heat. Routes are equipped systematically, with a goal to cover ad much wider range of difficulties as it is possible and to adjust space for climbers of different level of knowledge, skill and physical predisposition, especially for the beginners and less ambitions amateurs. Equipping the routes of higher difficulties is left to the future climber’ s interests, since at that time beginning of the works on equipping of the route, beside few enthusiasts willing to try this discipline, rarely anyone in Kolašin was interested in free climbing. Arranging of this polygon was founded in May 2008, with the assistance of the Austran-Montenegro Partnership “Bjelasica and Komovi” and members of the Outdoor Club from Podgorica. Few kilometers away from Rožaje towards Novi Pazar, in the Ibar River canyon is, for now, the only equipped climbing place in this region. Rock is located along the river, behind the first tunnel on the main road that leads from town to the north. Since the routes are under the royal line, the acces is rather difficult, and the safest way to come down to their bottom is by a rope. The routes are in VI-VIII range, of medium difficulty. The development of free climbing on Prokletije received an unexpected surge in May 2008. On four locations in the Gusinje surrounding, several free climbing polygons were equipped with 65 routes in the III-X UIAA range. Polygons are located on Alipašini izvori (30 routes), Troja (10 routes), Đerani (13 routes) and in the Grbaja valley near mountain home (13). As in the Kolašin climbing sport, these polygons are primarily intended for beginners and recreational climbers, but it shouldn’t be forgotten that about half of the routes include line difficulties over VII, so that even the best climbers won’t be bored. Free climbing season in Montenegro lasts in general during the whole year, but optimal conditions on individual locations vary depending on exposure, altitude and current temperatures. Spring and autumn are always the most secure options, while during summer and winter everything depends on the temperature. In lower and area closer to the sea, average winter temperatures are about 10˚C, which is completely acceptable for climbing. It is even better if the rock is exposed to the Sun during some period of the day. On the other hand, these rocks are totally “non climbable” during summer, since no one enjoys the temperature +40˚and more, therefore it is necessary to search the rocks on higher mountains, of the ones that are in total shade. All this means that a global season doesn’t exist for this discipline, instead there are more micro-seasons and individual best conditions. Therefore, during any time of the year suitable conditions can be found. All arranged climbing rocks in Montenegro are in direct vicinity of good and frequent traffic corridors. Whichever you choose, the access will not take more than half an hour walk from the car, just as much as it takes to drive from the nearest city to the last parking zone. NOTE: It is not known whether any kind of tax on free climbing is charged anywhere in Montenegro. State regulation does not include such mechanisms and as long as you stick to the public property, your freedom to climb to your heart’s content won’t be jeopardized by anyone. It the routes are in the marked private property, than it is necessary to get approval from the owner, which may include a certain monetary compensation. The routes on the territory of national parks also do not fall under regime of special charges, but in order to climb in such places you should pay an entrance fee to the park or general residence tax. As for all mountain activities, one of the main asset of Montenegro in the field of free climbing is that it is almost completely undiscovered. Despite familiar and frequently visited climbing destinations in Europe and USA, where routes are literarily few meters away from each other, here is common not to have single route on entire mountains, although there are thousands of possible routes. If you want to add to the list of climbed routes some that are completely yours, you will find an ideal terrain in Montenegro. You will more often be left without inspiration for route names, then without routes for new climbers. If you want to complete your stay in Montenegro with enjoying in free climbing, you will have to bring the full equipment. Although there are few teams or individuals that are doing free climbing and have to acceptable equipment, and are sometimes willing to borrow it, there is not a single shop where you could by some pieces of technical climbing equipment-climbing shoes, rope, chalk or quick-draws, etc. Therefore, check that you have not forgotten something. Surrounded by stone block of rocks, few meters tall, with interesting combinations of several moves, you are losing excuses for not going climbing. You will always be able to find some spare time for this, it doesn’t demand distant travel, not especially trained partner or some special equipment. Wherever you go, whether you wish for something easy, to warm up your hands, or you don’t have anything against spending few days in solving one same problem, some little boulder will always be there for you. Although, this discipline is very well known to climbers who have climbed all over Montenegro, they understand it as a secondary activity and that seems to cause their reckless attitude towards the boulder problems. Climbed boulders are mostly located in the centers of climbing activities, like Prokletije, Žijevo or Durmitor. Especially known are boulders in the Grbaja valley on Prokletije Mountain, which are for years, the climbers’ only solace when the rain forces them to postpone some of the great climbing routers. They are situated along the valley, a few hundred meters away from the mountain home of Mountain Association “ Radnički”, and are up to three meters high, while previously climbed routes’ difficulty rangers from V4 to V7. Unfortunately, none of these routes have been named. The same is with the boulder in the Komarnica valley, beneath the Bokeljske grede, but also with all local mountains and mountain valleys. The exceptions are boulders near Alipašini izvori at Gusinje, where german climbers, during equipping of the free climbing polygon in May 2008, have marked few boulder problems of lower difficulties. If the answer to the question “where” is “almost everywhere”, then also to the question “when” you can answer “almost always”. If the winter and snow is covering the mountain boulders during winter, than ones at the coast or in Podgorica surroundings are available. If you can’t even sleep because of summer heat, let alone climb, then the mountain areas represent the peak of the bouldering season. In Montenegro you can always find, in a couple of hours drive at most, some boulder where it doesn’t snow or rain, and the temperature is just like it should be. NOTE: In the Grbaja valley, or so called “other meadow”, there are several interesting boulders and above them arching crags of Maja Hekurit, Koplje and Prestola. As much as it seems attractive climbing is not always looked at benevolently, so if the climbers on high crags are at safe distance from ones that know a million reason why climbing shouldn’t be done, boulder climbers are not that lucky. If it bothers you to hear “expert” comments from onlookers, while you are trying and falling off that the same spot for the thousandth time, than avoid boulders on frequently visited location on those inside the suburbs. Frozen waterfalls are present in all regions of Montenegro, from the coast to the northern mountains, but their forming time and duration, as well as the ice quality, are far more suitable in higher and colder areas. In the canyons of Morača, Mrtvica, Tara, as well as in the mountains valley like Komarnica, most frozen waterfalls are formed or not so easily approachable places. Except few routes which have already been climbed, possibilities for climbing for the first time and leaving the personal trail in ice crystals are huge. Whether it is still unclimbed route on the existing or completely new waterfall, every location where they are formed is still a treasury of undiscovered adventures. Even though unusual, even a coastal town has the conquest of frozen waterfalls in its tourist offer. On the south sides of the Rumija mountain, on the road which leads across Sutorman towards Virpazar, 15 minutes from Bar, there are two little waterfalls around 30 meters high and of WI 2-3 difficulty. Their exposition and geographical-climate position are not suitable for long duration and creation of sufficiently thick ice-shell, but still represent an extraordinary experience-swinging tools into ice, with the Adriatic Sea as the background. The capital city of Montenegro is more known by summer heats than by ice. 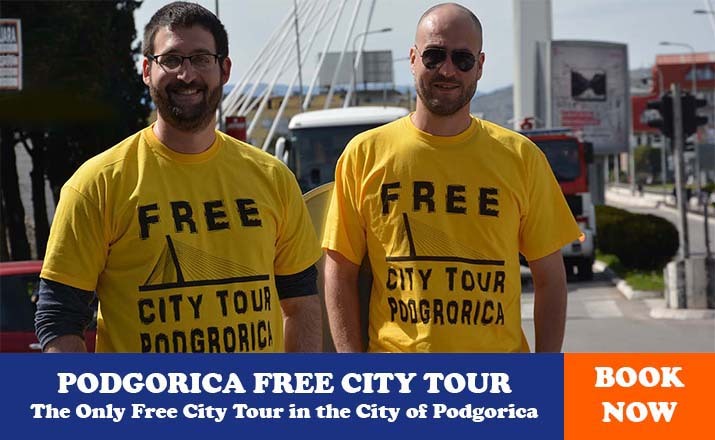 Podgorica’s surrounding abounds with potential for this discipline, especially the canyons of Rivers Morača and Mrtvica. Waterfalls in Morača Canyon are easily accessible ( except for a few lines under Dragovića polje, on the right bank of the river), and are in the vicinity of the asphalt road, with few of them in the close vicinity of the main road. The area with waterfalls are marked by jumps and variations in difficulties and the ice quality, which is the consequence of water freezing on weaker courses that don’t have a constant water inflow. Waterfalls like Svetigora, under the Morača Monastery, partly because of strong flow, and partly because of their exposition, rarely form lines suitable for climbs. 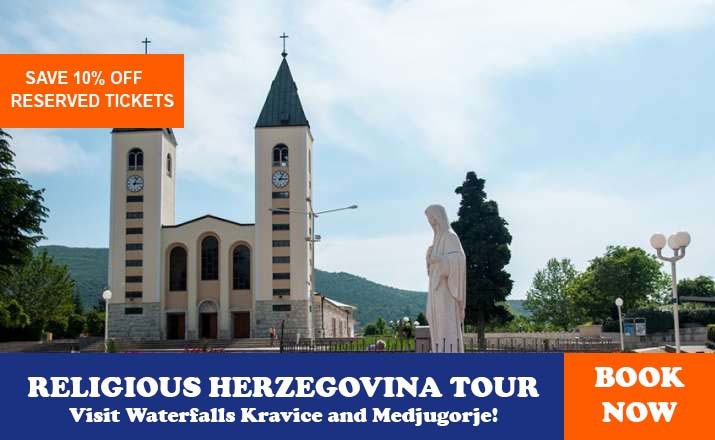 Three waterfalls on the line Međurijećje-Morača Monastery (WI 3-5), are frequently formed during the season, as well as those under the turning on Mioska ( WI 2-4), and here are numerous ice or mixed lines between Dragovića polje and the source of Morača River ( WI 3-5, M6 and more difficult). In the Mrtvica Canyon , known by the hiking road, carved in a boulder on the left rivershore by Yugoslav National Army soldiers, flows down the sharp canyon walls enable only short periods of sunbathing, even on the sunny sides, these lines have relatively good quality and sufficiently thick ice shell, with a pretty difficult, long-lasting access and withdrawal. By now, not a single one of these routes was climbed in the canyon, and are hundred meters highs. In direct vicinity of the city, on the way to the Kuči there is a cascade waterfall Vodenica on Fundina brook, which relatively often freezes and gives good conditions for easy and interesting cascades are around 15 m high. Waterfalls difficulties are in the range WI 2-3. Considering the discipline, Šavnik surroundings are the most visited and attractive region in Montenegro, especially areas of villages Boan and Komarnica. Waterfalls in the Boan village are easy (WI 2) and are tenths of meters high, but the situation is changing as you approach Šavnik. At few kilometers away from the village above monastery Podmalinsko, the ice line “Francisco”, WI 3, 50 m high, is being formed, while, on the other side of the river, a whole little ice park, consisting mostly of icicles and stalactites, is being formed by a stream overflowing by the right bank and leaking down the rocks. No routers are climbed here; everything is untouched nowadays as it was centuries ago. In the Komarnica valley there are three interesting waterfalls, with Skakavac as probably the most climbed one in Montenegro . It is situated on the Grabovica streamlet, in a little amphitheater before the river mouth, at the Nevidio Canyon’s entrance. The exposition and the relief in the backgrounds enables this relatively strong river flow to form attractive ice structure, where especially attractive is characteristic alcove in the upper half of the route. Through larded stalactites, like the fringes of some fairytable baldachin, opens a view to the dark kerfs of Nevidio and a mystery of its cliffs. The second waterfall is, situated on Mokra Ploča at the end of Komarnica village. Its difficulty is WI 4+/5; height is about 60 meters and freezers very rarely in climbable form, with thin and fragile ice. The third, WI 5, 20 m, is few kilometers further up the valley, hidden in the forest below the Boljske Grede. The biggest in Europe and the largest in the world, Tara Canyon is also home to numerous frozen waterfalls, but none of them have been climbed up to the very end. Since the approach to the crags and routes in the highest parts of the canyon is very difficult and long, we will limit ourselves only to the entrance part, from Dobrilovina to the bridge Đurđevića Tara. In a big amphitheatre, on the left side, only few kilometers away from Dobrilovina towards the bridge, there is one of the most interesting and attractive waterfalls in Montenegro. Those who has enjoyed pictures (or climbing) on Fanga or Pilsner Pillar in USA, will find something here for himself –grand stalactite which ultimately touches the ground forming a pillar which is 30-40 m high, with ice that reaches at least the same height over the cliff. For the ones that feel at home in the climbs rated in difficulties around WI 5, this line is more than a good reason for an early rise. Depending on the season, waterfalls that go down to the very road can be found in the whole of this area. Their heights, difficulties and quality vary-from wide and light curtains (WI 3), 20 meters high, to the long and periodically mixed combinations in the bevels and lurking-places that characterize that boulder above the road. Down the cliff over Tara’s right bank, in front of the bridge, streamlet brooklet's waters fall down and form the waterfall of great attractiveness in its structure and also by the scenery around it. It is about 70 m high, with difficulties that don’t go under WI 5. Because of the south exposition, sun warmth will represent a worthy prize for the effort of the fist climbers, whenever they show up. Although waterfalls in Montenegro freeze over almost every year, due to the relatively low sea-level altitude, mostly southern exposition and, above all, closeness of the sea as reservoir of war air, which melts them, ice climbing season is very short. Low temperatures, on which they are formed, mostly begin at the end of November and last until March, but the period from the mid December to mid of February is considered as the best, although as usually takes two to three weeks of low temperatures for most of them to be regarded as climbable. Yes, these periods of cold times are hastily and rapidly changed or interrupted by significant defrosting, that melts and overthrows formed ice structures. So, it is always necessary to watch weather forecast and plan the climb accordingly. Sometimes the season offers only a few suitable days for climbing, and due that, organizing longer climbing activities is impossible. Global warming, whose consequences are increasingly felt, also contributes to the season’s reduction. NOTE: All mentioned waterfalls are located on public property, therefore no special licenses are needed for access and climbing outside the national parks. For climbing waterfalls in the Tara Canyon, besides the usual tax of the NP “Durmitor”, no special taxes were required so far, but the fact the Park guards don’t have much understanding for this sport should be considered. Although there is no specific rule, they often demand from the rope teams to stop climbing and move away. You should be especially cautions on the lines that go directly down to the traffic artery, where the safety of climbers and the other traffic participants is jeopardized. Rope teams that are climbing in such places should mark their position with standing signaling, in other to avoid, not only the traffic penalty, but also any serious incidents that is completely unrelated to climbing. Camping during winter makes sense only if high quality equipment for bivouac is used: winter sleeping bags, good pallets and four season rents. Yet, the question is: are you able to enjoy the waterfalls after a night spent on serve minus degrees, particularly when the goal is not only rising the limits of toughness, but spending free time in a way that will charge your energy. So it is better to choose an indoor accommodation, even if it a bit far, to save more energy for tomorrow’s climb and lessen the possibility of some unwanted outcome caused by inadequately organized bivouac. Local terrain is ideal for tour skiing. Whether is about long and technically demanding cruises of sweaty climbs with steep slopes loaded with adrenaline. Wherever you are in Montenegro, in winter time, at one hour drive at most there is some hill with ascent that awaits the fur on your skills. Durmitor Massif is the most famous winter destination in Montenegro, with huge potentials for all skiing disciplines. Concerning tour skiing, there are many interesting lines on this mountain; the only question is just how much time you’ve got. Depending on technical possibilities and fitness, you can choose some of the long tours among the peaks of the middle massif or opt for going up and down on skies on one of those peaks. 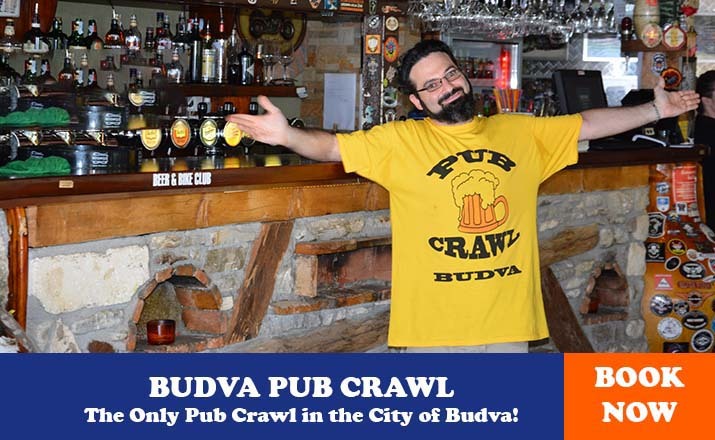 One of the most popular tours starts beneath the cable-car on Savin kuk and leads through clear side of Šljemen up to the top. From here the return is possible by the same path, through the Mlječni do or the circular continuation across Šljemen cliff and Velika Kalica. The other version is a lot longer and more demanding, it consist of skiing down the curvature between Šljemen and Milošev tok and bracket arm beneath the boulders of Malo Šljeme towards curvature Mala Pljevlja, and from the spring, known as Točak right to the bottom of the ski track. The tour can be done is a day, and in case of slower advancing, alpine bivouac in Velika Kalica is secure and comfortable place to stay one night. Rounded peaks of Bjelasica provide immense possibilities for different touring, and yet are little used. One of the shorter and technically undemanding lines, which attracts with the beauty of surrounding landscape and which is almost always possible to do, leads to the ski center Jetzerine ( 1444m) across Katun Vranjak on the peak Troglav (2072 m) with a system of light slopes and with several versions of descent. It is, if desired, possible to extend it with bracket arm to Zekova glava (2117 m), along which, you should keep away from the top line on the Troglav cliff because of eventual caves. Three hours are need for this tour. This is not about Maglič on the border of Serbia, Montenegro and Bosnia and Herzegovina, but about one of the Kuči Mountains, between Komovi and Žijevo. Tour starts in Veruša village, at about 1000 m above the sea level ( depending where you leave your car), follows the line across Mokra towards Širokara, some 12 km, and comes out on a curvature on the katun Laković (1820 m). Here it leaves a road, turns north, and keeping along with the line of wide cliff, some 2-3 km, goes to the highest peak Maglič Lumer (2141 m). From there starts the slope which goes either along southwest side to the Bušat curvature and beginning of the Mokra valley, or southeast to Maglički Bigezi and upper part of Mokra. First version is a bit more steep, while the second is longer and more interesting, with more space and different combinations. From Mokra the same road leads to Veruša. Between 6 to 8 hours are needed for the entire tour. As for the most skiing activities, the season for alpine touring starts from the last days of November and continues, depending on snow quantity, until May. The end of winter and beginning of spring are considered the best, either because of longer days, or because of the thickness or compactness of snow cover. In any case, this activity requires at least favorable, meteorological conditions. Everything else is a question of convenience and skills. NOTE: World statistic show that the biggest percentage of avalanche-related incidents to skiers on alpine touring. Crossing large distances in off-trail areas brings many dangers and risk, and the biggest on the avalanche. Experience, knowledge and being well informed about conditions on the terrain must be the most important segment when planning your mountaineering and ski tours, since these incidents happen usually away from the ones who would come to the rescue. Therefore, get to know both, yourself and a mountain, do not go to the wrong place at the wrong time, learns what to avoid and when to give up. Avalanche will not chase you. It is you that can be in its way. In all Montenegrin ski centers there are great possibilities for skiing outside arranged paths, relatively near cable-car as an easiest and fastest way to upturn. These terrains often provide more space for various ski adventures than the existing ski paths, therefore skiers who can ski very well in frozen or deep snow can enjoy the slopes along the length of natural monuments lines. The other, incomparably wider category of ski fields outside the arranged paths, are mountains with no ski infrastructure at all, but with slopes that look as they are made for free ride. They require more effort and organization, danger is greater and help is more distant and harder to reach, but the feeling of adventure and pleasure is such that every risk seems worth taking. Book of winter fairytales has so many chapters on skiing in solitude and silence, the question is which one you prefer. The most popular off-trail skiing lines on Durmitor are those on Savin kuk, whose peaks is only few hundred meters away from the last cableway station. Skiing down to east side, so called clear side, is possible from there, as well as skiing along the corridor between the posts upper cableway or skiing down Mesna Lastva to Velika Kalica. The other two versions have very steep and demanding slopes, with a slant of around 45˚, and they are only for good and confident skiers. There is a clear side Šljemen, but since there are no ski lifts on this peaks, uprising is possible either an alpine skis or on foot, with skis on the back. The slant of this mountain is about 30˚, and in good snow conditions it really provides real enjoyment. In Velika Kalica under Šljeme is the residue of an ancient glacier, known as Veliki namet, where it is possible to ski even in summer. Although the slope is relatively short and undemanding, it s a special feeling to ski while others are watching you dressed in shorts sleeves T-shirts. Bjelasica is known by gentle and long slopes, pastures during the summer, and ideal spaces for skiing or snowboarding during winter. For those who are not ready to carry skis on their shoulders for long in order to go down the slopes through the snow powder, the most accessible cliffs is on Bjelasica that leads to south-west from the peak Ključ. From here, it is possible ( for good skiers) to go down to the ski track line in several different ways. Whichever you choose, take care of eventual caves of the cliffs. The difference in height is around 300m. The best skiing conditions is Montenegro are from mid-January until mid-March, but the season sometimes beings much sooner or can be extended to the last days of April. Even here, global climate changes cause disruption in temperatures and rainfalls quantity, but the annual high point of snow thickness and its quality is exactly during this period. If your goal is on the higher altitude, the reason expands. Some lines are already formed in November and can last to the end of May. Of course, the most ideal skiing conditions shouldn’t be expected then. NOTE: Although it doesn’t belong to particularly demanding, the slope down the so called “clear side” of Savin kuk on Durmitor is classic of local skiing outside the arranged tracks. Pitch is about 30-35˚somewhere even 40-45˚, around two kilometers long at starting altitudes of 2313 m and bottom altitudes of 1480 m. While you ski, the plateau of Jezerska Visoravan ( Lake’s Upland) opens in front of your eyes showing the mountains of middle and northeast part of Montenegro, as a wide elusive space. The access is easy, by the cable-car all the way to Savin kuk, and then few hundred meters by foot to peak’s outlet. In the upper part the path follows the line of the cliff above Velika Kalica, than slow separates towards south and gradually, depending on the snow, drags to the regular ski track. Because of the south and southeast orientation of the slope, snow is often not good enough for skiing but when it forms, this line gives an unforgettable enjoyment. There are no specialized services in Montenegro that deal with avalanches, therefore, if you wish to ski outside of the usual paths you should check the state of the snow drift and its eventually tendency to avalanches. You should avoid slopes with exposition and orientation that can cause avalanches movements, which are located in the layers of snow caves on the cliffs and lead to concave relief shapes, especially after larger rainfalls or temperature rises. Do at least rough avalanche testing on very slopes; those 15 minutes can save your life. The explorations of Serbian, Polish and Hungarian speleologists, during the least three decades, have shown, that, although some speleological sites in Montenegro already in Balkans, the distances and depth reached so far are not the ultimate. Nowadays karst is overfilled with different objects, from long holes to deep caves, and there is no area without at least some gaping hole. Question is are you in a mood to research something new or enjoy experiencing the already known? The Mountain massifs of Orijen, Lovćen, Meganik, Kapa Moračka, Durmitor and Prokletije, as well as the part of Pešter plateau, are distinguished by a significant number of structures of different dimensions, transients, technical demands, amount of water and general level exploitation. Considering the complexity of this terrain, number and characteristic of the structures research possibilities, specific speleological organizations have been organizing activities on the same locations. A database on terrains was made and constantly expanded as well as a map of interests. Unfortunately, there is no enough space here to present a more comprehensive list with descriptions of all local speleological elements, but even this overview of the most visited terrains and the biggest caves and halls will be able to conjure the beauties of the Montenegrin geological underworld. In the area of National Park Durmitor there are several speleological elements of imposing size, mostly caves. The thickness of karst and high altitude of the entrances enable the creation of deep caves, among which is the cave on Vjetrena brda that was for long considered as the deepest in the Balkans, while the cave on Mali Lomni carries an epithet of technically most demanding even today. Cave on Vjetrena brda, with 755 m of depth, is the deepest one in Montenegro and one of the deepest in Balkans. Although there are no big technical difficulties in it, its grand size demands serious organization well prepared team, and large amount of equipment. The cave was discovered by Polish speleologists. In August 1985, during the international speleological expedition “Durmitor 85”, the cave was explored to the very bottom, at 897 m of depth, according to the measuring at that time. Last measuring ( 2005) with more precise instruments has shown that the real depth is 775 meters. Although it is not the deepest one, the cave on Mali Lomni Do is technically the most demanding. Because of that, it is not often the subjects of actions or expeditions, while stories of conquering its details are inevitable part of local speleological history. Discovered and searched up to depth of 560 meters in 1984, during the international speleological expedition “Durmitor 85”, when the ultimate depth of 605 meters was reached, without the possibility of further progression. Cave system in Obručin, with a depth of 464m, is most often visited cave on Durmitor. It is an excellent introduction and preparation for descending down in bigger and more difficult objects. For the first time, this technically relatively easy cave system was explored at the international expedition. It has 4 entrances, three are shown on the drawing. Verticals, that lead from fourth entrance, are connected with the system in the ceiling of the final chamber. The cave above Vražiji firovi (Devil’s whirlpools) in Đalovića Gorge ( the canyon of Bistrica River), near Bijelo Polje, is the longest cave system in Montenegro. It is situated about a kilometer upstream from Glava Bistric, through Đalovića klisura, at the same altitude as the lowest one of four ponds, so called Vražiji firovi. Explored length of this canal is around 11.750m, while precise measure us 10.550m, and denivelation is about 120 m. Researched cave part above Vražiji firovi consists canals, hallways and caves that are mostly dived on four basic entities: Canal with lakes, Veliki Lavirint (Great Labyrinth) , Veliki Kanal (Great Canal) and braid of canals that connect the upper level with the lower one. The richness of morphologic shapes and cave jewelry make this cave a pearl of local underground, by its dimensions and aesthetics. 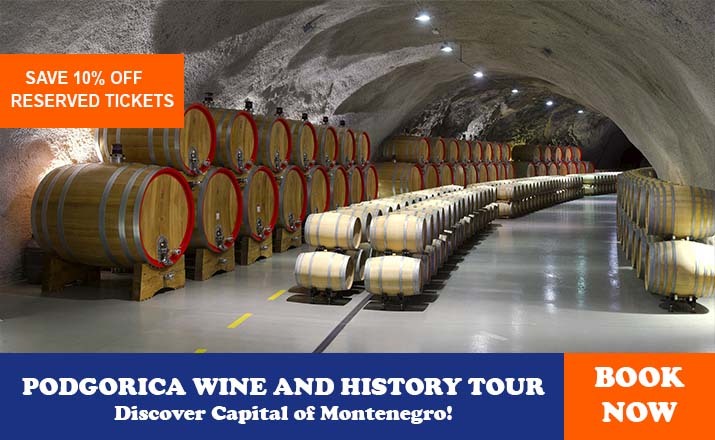 The central part of Montenegro, in which the mountain massive on Maganik rises, Prekornica, Kape Moračke and Lola, are also exquisitely attractive speleological terrains. Among the huge number of cave objects and different depths, Dvogrla jama in Pribatov dol on Maganik, stands out by its dimension, at 395m of depth, and cave in Crveni dol beneath Stožac and Kapa Moračka (444m). In 1994, both caves has been explored for the first time, and in 2001, during the research of the depth limit of 393 m, a cave continuation that increased its depth to 444 meters was found in a hole of Crkevi Dol. Southern areas, especially ones covered with chains of seaside mountains Rumija, Lovćen and Orijen, don’t have altitudes like ones in Durmitor, which enabled formation of caves of great depths, but they don’t lag behind in their numbers and diversity of speleological objects. Terrains like Kameno more (Stone Sea) within the wider scope of Orijen massif, where caves burst, practically everywhere, or on wider Lovćen region and mountains leaned onto it, offer almost unlimited possibilities of enjoyment in the underground magic. The zone of the main coastal cliffs is characterized by formation of holes or combined cave-hole objects that drain the surface waters towards that coast, as it is confirmed by several hydrological examinations. The example is a combined cave in Duboki do, in Njeguši area, which is 2.178 m long and 506 m deep. Its dimensions make one of the most representative Montenegrin speleological objects in both categories, while the unique complexity of passage, which includes speleological diving in a great siphon, demands from speleologist all of his knowledge, equipment and skills. During the whole year, the air temperature in speleological objects is the same, but not the level and amount of water in the streams and accumulations. That is why the second half of summer and the beginning of autumn is the best choice, since during that time the surface receives the smallest amount of precipitations, which are still drained and collected in caves. Besides that, after numerous hours spent in wet and cold overalls, it is good to meet a warm August morning instead of February storms. NOTE: Speleology in Montenegro is free. 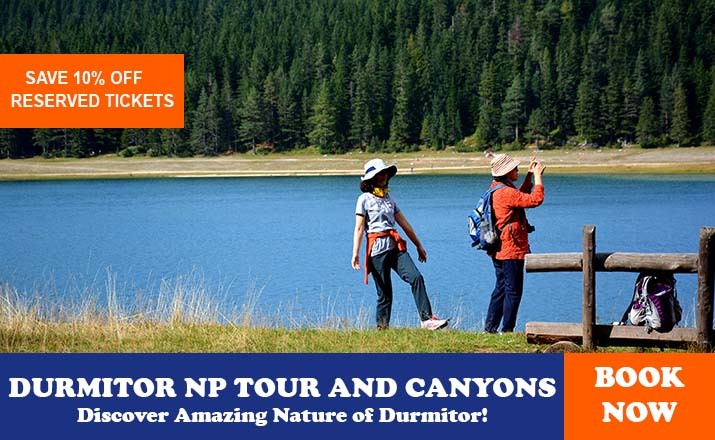 Exceptions are the areas of national parks, where you should pay general and visitor’s fee, and for every activity in objects of NP Durmitor you should get an approval from the park management. Cave jewelry that we admire so much and whose beauty is the counterbalance to the extraordinary monumentality of underground spaces, should remain there for everyone else that will come to admire it. Resist the drive to break it off and don’t take it away. From the silence of underground chambers souvenirs are carried in memories, not in a bag. Speleo diving, the most demanding and dangerous mix of underground and underwater enjoyment, the mostly divided into two categories-dives in surface springs and wells, whose canals are continuing further trough the underground, and diving in syphons, lakes and streams inside the speleological objects. The first versions is means easier access and logistic, but deeper, longer and more complicated diving, while in the other case diving is often in service of passing some permanently or temporarily sunken object’s segments, starting and ending in the darkness and the coldness of cave. By now, in Montenegro, cave diving has usually been done in both ways, mostly within international speleological activities and expeditions. Cave divers’ attention has been drawn by Savino oko, Priokletije, source Jama in canyon Mrtvica, estevela Gurdić in Kotor, line on underwater sources in Skadar Lake- Karuč, Raduš, ponds in Malo blato etc. The end of any of them wasn’t reached, for example, in Savino oko it was dived up to 64 m of depth, without indications of near end. This form of cave diving is becoming increasingly popular, while dives in speleological sites have been, until now, done in the caves above Vražji virovi and Duboki do on Lovćen Mountain. For diving in springs on the surface, considering the outside weather conditions, the most suitable period in summer, while for activities inside the sites the situation is a bit different. In the caves and caverns, whose dimensions and magnitudes represent a greater danger from flow burst after copious rainfalls on the surface, it is recommended to dive during winter, when low temperatures freeze most drain canals and cut the waters’ break through into the underground. While choosing the speleological diving terrain you should keep in mind the regulations that are pretty undefined in this area. 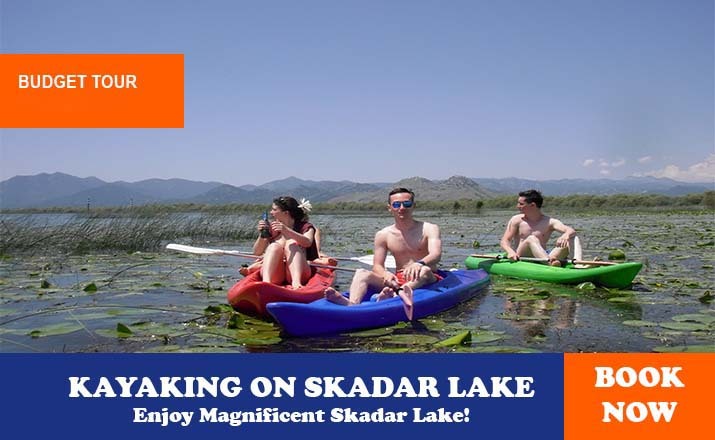 That especially refers to diving inside the National Park Skadar Lake, where local authorities will prevent your access or allow you to dive, depending on their own will more than on the existing written rules. In principle, it is necessarily to get an approval from the National Park, but is not excluded that bureaucracy labyrinth will appear somewhere else. When making diving plans in the spring of Skadar Lake, it also good consider the modified socio-demographic conditions on its shores. Some interesting locations, like the surroundings of the Karuč spring, where turned into a polygon for demonstrating the financial power and bad architectural taste of nouveaux-riches. If you wish to dive here, it would be wise for you to get all possible licenses and to watch out for local poachers Believe it or not, their favorite fishing tool is dynamite. The feeling of adrenaline that splashes us over from inside, making us stronger and faster, rising inner tension up to a breaking point and turning experienced moments into a pack of emotions for the year ahead, is a reason enough for any adventure. Canyoning means enjoying in a water flow of adrenalin, which gallops through kerfs, files down the cliffs and cataracts into deep boilers under a veil of millions of drops. The beginning of the canyon Komarnica, known by the name Nevidio, is the most famous and visited canyoning terrain in Motenegro. 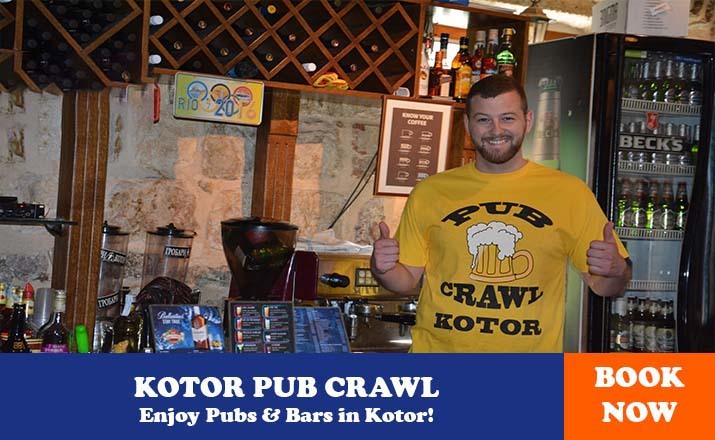 Entrance is situated in village Komarnica, about ten kilometers from Šavnik, 50 meters after the meeting point of the small River Komarnica and Grabovica. It is 3.4 km long, while passing through it usually lasts about four or five hours. There are several technical details with jumps in pools or slopes down the rope, but also there are areas where you can walk, and, what is most important, warm up if you don’t have good neoprene wetsuits. Exiting the canyon, after the lively last jump and waterfall, consists of a pretty hard climb along a sharp left side, some 200 m towards the road that follows the direction of its extension. Thanks to the members of MSS (Mountain Skiing Society) “Javorak” from Nikšić, who passed through its shadows and whirlpools is 1965, Nevidio has become a synonym from this discipline in Montenegro. Technically the hardest, the coldest and the darkest canyon in Montenegro, it is formed by a little River Grlja, in Vusanje village, under the Prokletije, 5-6 km from Gusinje. The entrance is at the beginning of the Ropojana valley, in a place where water from Grlja falls into 15 m deep boiler and continues further among narrow depart cliffs. The canyon is relatively short, less than your feet during the rappels down the waterfalls. Their heights are 7to 30 m. At the end of the canyon is a breakwater or a plug made of deposited materials (mostly branches), above five meters long that should be dived under or jumped over. After it, on the way out of the canyon waters stream becomes perfectly calm and easy, as if it is a streamlet which doesn’t have anything to do with the whole mentioned rock’ n’ roll. Passage lasts for about two hours but the ones yearning for adventure can do it several times a day. In the canyon itself, it is very important to pay attention to the biggest waterfall, which starts bit by bit and almost unexpectedly transgresses vertically, from where it is almost impossible to jump down safely because of the cliffs that stick out. Anchors are equipped with bolds, and equipment for departure, besides classic combination of iron and textile, includes neoprene wetsuits of at least five mm thickness. The River itself changes in the canyon- entering as Grlja, and flowing out as LJuča. The Trebješica River sources above the village of Gornja Trebješica, at about 1200 m of altitude. With Sjevernica, it interconnects in the canyon itself, as the left confluent of the Morača River, disgorging in it at the bridge Pjenavac ( 180 m), on the main Adriatic road. The depth of the canyon is about 300 to 400 m, and around three kilometers in the length . The canyon itself is easy for passage that lasts about three hours. The best access to the canyon is from the railway station Trebješica (780m) at the railroad Podgorica-Bijelo Polje, four stations before Kolašin. From out there, it takes two hours to the canyon entrance that starts at 630m, beneath the village Donja Trebješnica. 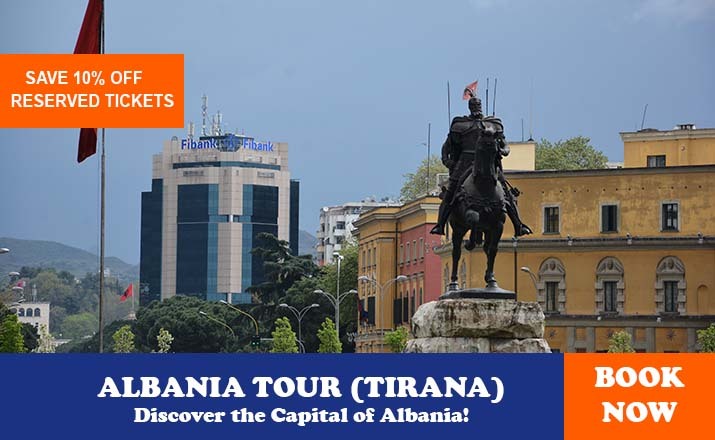 The whole tour demands specific physical preparedness, because it takes around eight hours of walking, descent and swimming, from the Trebješica station to the main road. From equipment, besides a little plunger suit and technical equipment, a little pontoon is suitable too. The Bogutovski potok canyon is in the territory of the Rovci, 30 km from Podgorica towards Kolašin. It is about 1.5 km long, has eight verticals, where the biggest one is 25 m high. There are natural anchors for descending on most verticals, while there are hangers with rings on others. Tour ends with the delta of Bogutovski potok in Morača, in the most beautiful part of Platije, and it takes about five hours. You can access the canyon from the village Vlahovići, to which goes to the main road from Podgorica to Kolašin. You should turn left at the sign from Trmanje village, at the 33rd km, from where there is about 10 km of asphalt road 633 m high village. Coming down from the village to the very Riverbed of the stream by macadam takes about 45 minutes. Škurde Canyon, one of the most vertically exposed canyons in Montenegro is situated directly above Kotor and comes down to the very city walls. The easiest access to its entrance is by a marked path that starts as a place called Krstac, on the road Kotor-Cetinje ( at about 900 m of altitude), and leads down the hill, through the pinewood, following the shore of the stream. The canyon entrance is at the old stone breakwater at 600 m of altitude, from where the path proceeds along the left side. In several places it is possible to leave the canyon and come down to Kotor following the path. In the canyon there are 25 verticals, up to 35 m of height, equipped with fixed installation for descending in places where there are no natural anchors. A well trained team needs 6-7 hours for passing through. During the summer months, the canyon bed is characterized by an intermittent (not continuous) stream-flow, and due to that the route is easier, but stagnant water in pools and stone tubs are more and ambience for frogs than mountaineers. So, it is better to choose later spring when River waters partly make the passage difficult, but in return make it much more beautiful and attractive from the sports perspective. Canyoning, as a sport in cold waters of mountain rivers, is certainly a summer recreation. Besides that, ones with less experience sometimes prefer to enjoy in canyon’s architecture and landscape then in the water flowing along its bed, so in this period of low water- level, experiencing this adventure becomes possible for the largest number of admirers. NOTE: a small circle of people partakes in canyoning in Montenegro. That means that there are many canyons and gulches where no man has passed, whose secrets no one has discovered and not a word has been spoken yet about their beauty. While you are picking the ropes, diving suit and helmet in a transport bag, don’t hold back the explorer in you. 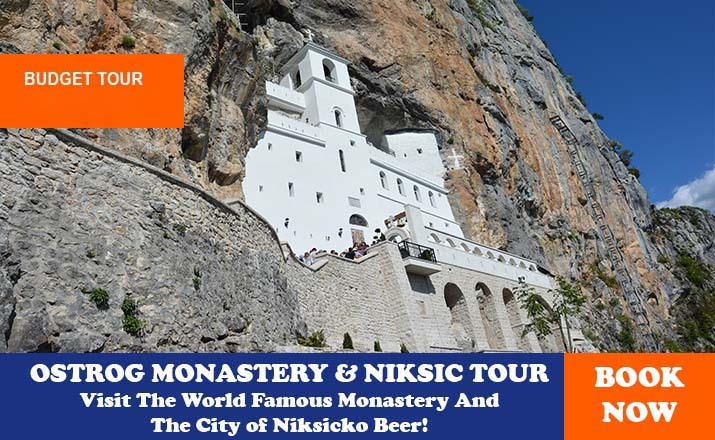 As rarely anywhere else in Europe, there are plenty of places for him in Montenegro, especially when we talk about precipitous water passage in stone, with a skyline above the head wide as the water flow beneath the feet. Mountain Rivers like Tara, Lim and Morača especially in their canyon areas full of rapids that call and attract, boil in bubbles and outshine with intensity. From the other side, the calmness of Skadar Lake, Zeta and upper stream of Morača seem as if it calms down and hushes, collected adrenaline, calls on peace and relaxes senses. Here, on the grip, are regular asphalt roads that pass by everything, familiar to this water adventures’ lovers for a long time. 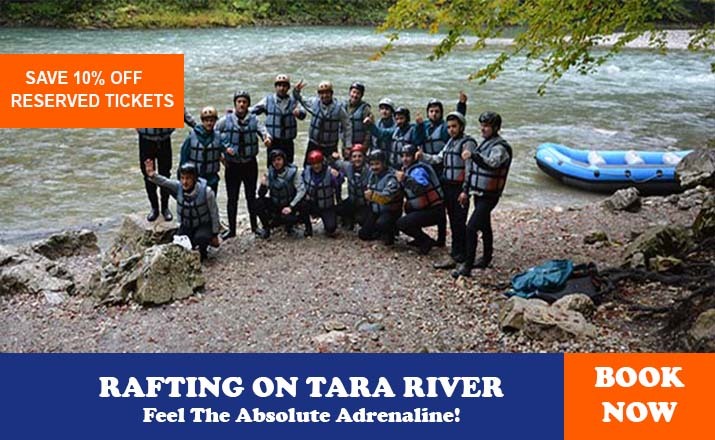 Rafting down the Tara River is a trademark of the local tourist offer, not without reason. One of the most beautiful canyons on the planet, about 85 km long, is mostly passed in two or three days, while adventure starts at location Splavište, few kilometers downstream from the bridge over Đurđevića Tara. To this place you can arrive from three directions-Mojkovac, Pljevlja and Žabljak. First session relates mostly to rafting down from Splavište to Radovanova luka, and then from Radovanova luka to Brštanovica and the third one is from Brštanovica, with difficulties rated from three to four WW, depending on the water quantity. In a place called Lazin Kamen, Tara is the narrowest, only four meters wide and also deepest (about 16 meters), while the canyon cliffs reach the greatest heights, around 1300m, at Bajlović Sige. Since there us a carriage-road to Brštanovica, one-day rafting tours are often organized from Brštanovica to Šćepan Polje, which are the essence of adrenaline and enjoyment in the fastest River section. Places for rest and sleep are organized camps and a motel in Radovan Luka. Considering fast waters, rafting on the Morača is possible from Međurječje, that is , from the junction of the Mrtvica into the Morača, depending on water level. From there to Podgorica, rapids whirlpools, gulfs, cliffs and caves, beaches and canyon fragments are interchanging. The easiest access to water and limits of potential sections are in Međugorje, Duga, Bioče, Smokovac and Podgorica, where from the river already much calmer, continues through Zetska Ravnica (Zeta’s lowland) on Skadar Lake. Lim is suitable for rafting all along its stream through Montenegro and considering the inhabitation of its shores, it is possible to choose start, finish and length of sections, according to almost everyone’s desire. Besides segments of the River’s canyon, beneath Berane and Bijelo Polje towards Brodarevo, the River is not characterized by long continuing rapids, therefore is represents a combination of calm and strong mountain stream. Unfortunately, River Lim is almost completely unexploited by rafters in Montenegro. Considering the seasonal difference in the water-level, the same River section may seem completely different, depending on a period of the year. Show melting in spring brings new water masses to streams, rising their level and making them incomparably stronger and more powerful. For this with more knowledge and experience, this is the time of enjoying in adrenaline of the River at its peak. The water-level falls during summer months and at the beginning of autumn, making streams so much lower that they are accessible for most recreational rafters. During the years of strong big droughts, some streams decrease so much that they seem more like system of connected swamps, than a River whose whirlpools you should be afraid of. This is especially characteristic for Morača, while Tara and Lim reduced, have enough water during whole year. Rapids of local rivers according to the size of kayak, open a space for adventure, even beyond the main and the best known courses. Naturally rivers: Tara , Morača and Lim and Ibar, enjoy the deserved and untouchable priority, but the possibility of kayaking down their confluences, during higher water-levels shouldn’t be disregarded. Among them, stand out Ljuča. Komarnica is stream’s section from the Nevidio canyon until the delta into Piva River, Mala Rijeka and Cijevna River, which give away their waters to Morača, although several little rivers during the first spring months surely know to foam as well. During its entire course ( 124km) Tara represents a wild water, sailable from Opasnica to Šćepan Polje. Certainly, the most interesting part is through the canyon itself, about 85 km in length. Hardest sections are, depending on the water-level, 3-4 degrees of difficulty, and in the canyon there are several places for the rest and overnight stay. The most common combination, both for rafting and kayaking, is whole tour from Splavište, at the bridge Đurđevića Tara to Šćepan Polje, or only is most interesting part, which start with Brštanovica’s rapids. It should be mentioned that on the section from Brstica to Splavište, at Đurđevića Tara, for length of 20 km down, decent is forbidden. This River is not a special challenge for rapid lovers, but there is something that is only this River’s specialty. After the way out of the canyon, running through Ćemovsko polje (Ćemovsko Field) Cijevna makes a river-bed that reminds of a little canyon and is meandering for kilometers with the width that is hardly bigger that the River itself. And its depth doesn’t pass over few meters. 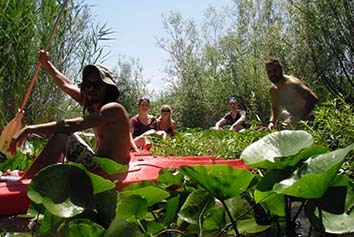 As it is for rafting, the water-level on all rivers of Montenegro is the basic precondition for kayaking ( only Tara and Lim have suitable amount of water even the driest periods). Some rivers, especially in summer of water level, therefore spring is the best period. Naturally, with bigger amount of water, rapids rise in their strength and beauty, but also in difficulties and levels of danger, therefore it is not necessarily to create a balance between the skills and stream’s possibilities. In the middle of April, rapids of Morača’s upstream are certainly not for beginners. NOTE: As there for rafting, for kayaking through canyons of Tara and Morača or down rapids of Lim, there is complete accommodation and transportation infrastructure. Along the streams of River Komarnica, Cijevna and Mrtvica camping is possible if you don’t organize some type og private accommodation. No story about wild waters in Montenegro seems complete without the rapids of Bršatnovica, Borovi, Čelija, and Donja Vjernovica on Tara, as the longest of all local streams. Route difficulties are WW 3-4 u depending on the water level, and the access to Brštanovica is possible by motor vehicles going from Šćepan Polje or by river, coming from Đurđevića Tara. Several foreign teams, which analyzed potential of local rivers for whitewater kayaking, where unanimous in a review that the best, hardest and most attractive rapids are in the upper stream of Ibar, near Rožaje. Also, they uniquely concluded that these rapids are not recommendable to anyone, because of the large amounts of litter. Al the beauty of the water that foams around you is in vain when you are concentrated on avoiding the automobile wrecks. For anyone who has cruised on a boat even for a day or two it is needles to point out what an amazing experience it is. Freedom to wander, independence from those on the mainland, new perspectives, the vastness of water and the sky above you are just some of the amazing array of experiences and new feelings it arouses, definitely making sailing a thing one should enjoy at least once in his life. Weather you own a boat of your own or you are looking for a renting of a ship, here is some advice on what to expect and plan your trip more successfully. Montenegrin coast is not long but nevertheless it offers many breathtaking sights. 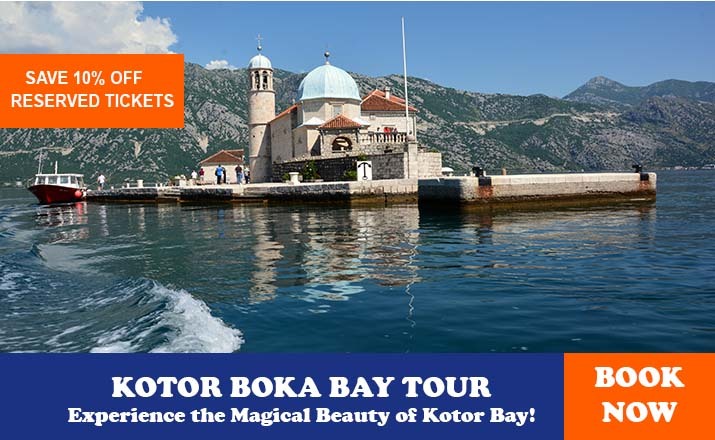 Its northernmost part is Boka Kotorska ( "Gulf of Kotor")an extraordinarily long gulf dotted with historic churches and old villages. The conditions for sailing here are superb due to favorable winds and mountains sheltering it from the strong south winds. Almost all of the coastal villages here provide basic conditions for mooring of ships so one can leap from one to another exploring them both from the sea and from land. The rest of the coastline faces the open sea and therefore has much better beaches and cleaner water but lacks sheltered coves and adequately equipped marinas. The entry to the territorial waters of Montenegro should be announced to the harbor master's office in Kotor ( north) or Bar ( south) on VHF channel 16. 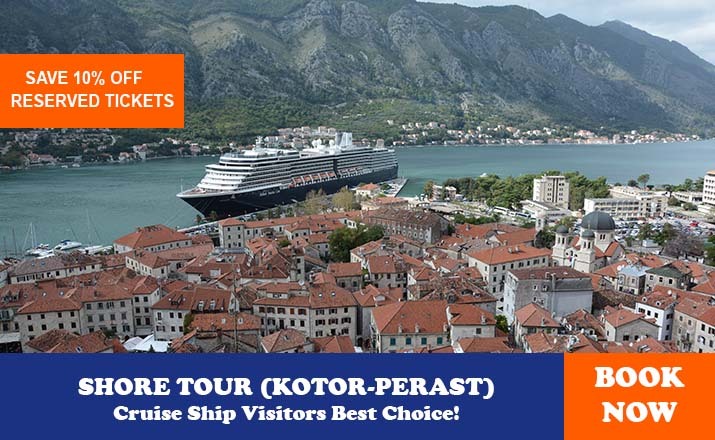 Sailing from abroad, you should register with the customs at the ports of entry in Zelenika, Risan, Kotor, Tivat, Budva, Bar and Ulcinj. If sailing in from the north ( Croatia) the most convenient port is Zelenika, east of Herceg Novi, which serves mostly cargo ships. 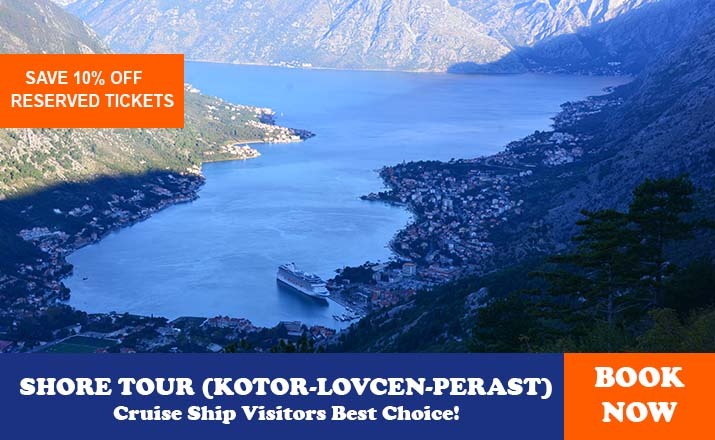 Arriving from the south your choice should be in Bar, the chief port of Montenegro; as the custom office is hard to locate you are advised to dock in marina and inquire locally. The customs formalities are generally dealt with quickly and without hassle. You should visit customs for clearance when you decide to leave. 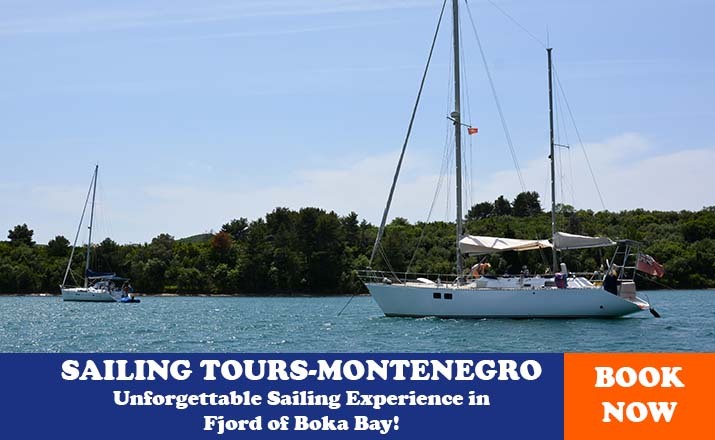 For sailing in Montenegro you will need a permit from the harbor master's office and lasts for one whole year. 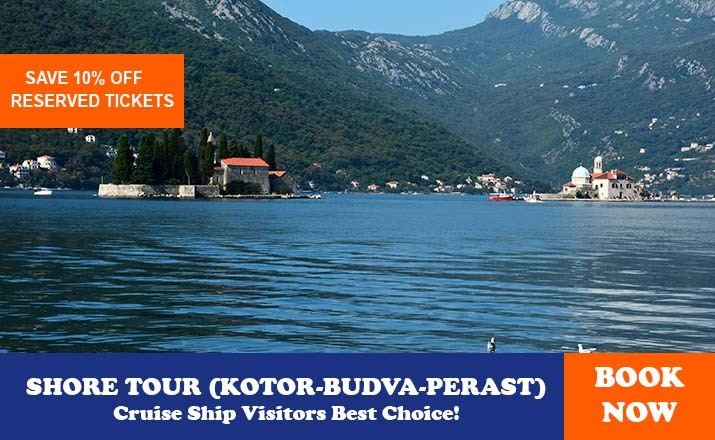 On the whole, Montenegro has favorable cruising conditions. The winds here are the same as the rest of the east Adriatic: In summers, during the day there is permanent breeze from the NW-mistral (called locally maestral) , or NNE bora (bura) of moderate strength. Nights are generally still or have slight bora. Most of the forceful storms come from west. Sirocco ( jugo) grows from the SW but once at full strength it blows strongly for several days ( most not more than three) bringing rain and creating high waves. One of the main advantages of Montenegro over other Mediterranean countries is its relative anonymity and thus also lack of sailing crowds. There are not many locals sailing around since most of them enjoy motor boats and yachts. Montenegro has one the best marina on Adriatic Sea for mega-yachts named Porto Montenegro, and very soon it will have several brand new marinas on the highest possible level of quality like Lustica Bay ( located on Peninsula Luštica) and Portonovi located in Kumbor next to Herceg Novi. In Montenegro there is terrain for all MTB version and disciplines, except arranged park for trial acrobatics. Mountain paths and woodland roads for those that enjoy in breakneck descents, combined cross country shares, long asphalt, macadam and combined paths, all of that somewhere near your destination. Finally, in 2007 several biking tours were include in the official tourist offer, among which are Nikšić-Bijela-Trsa-Brštanovica, round tour around Durmitor, Kolašin-Rikavačko Lake-Podgorica and Virpazar –Ostros-Ulcinj. 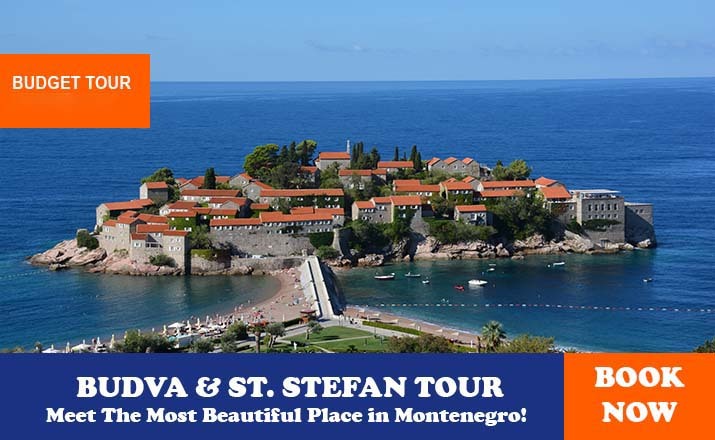 With a total length of about 140km, this tour is one of the longest in Montenegro. It is attractive, because it passes by the most beautiful canyons, Bijela, Komarnica, Sušica and Tare and also through more and more deserted areas of Drobnjak and Piva. Driving is mostly on asphalt, partly on macadam parts, and it takes two to three days. The road around Durmitor is a very demanding day-long tour, 86 km long. It follows a line of asphalt and macadam roads that embrace this mountain massif, starting and ending in Žabljak. The silence of the canyon Sušice, verticals of Tara canyon, coolness of spruce woods of Montenegro and Štuoc, sunbath grasslands of Dobri Dol, Sedlana Greda, Vjetrena Brda ( Windy Mounts) and wideness of Jezerska Visoravan ( Lakes Upland) are just some of the fairy tales that you will enjoy. It is interesting that a local tourist development planer imagined this tour in a reversed direction. Naturally, the tour can be done in that direction, but with far more pointless effort. It is 93 km long, driven in one long and exhausting day of two relaxed days. Its 4255m of climbs and descents mostly recommended this other option, with sleeping in Rikavac or curvature Širokar. 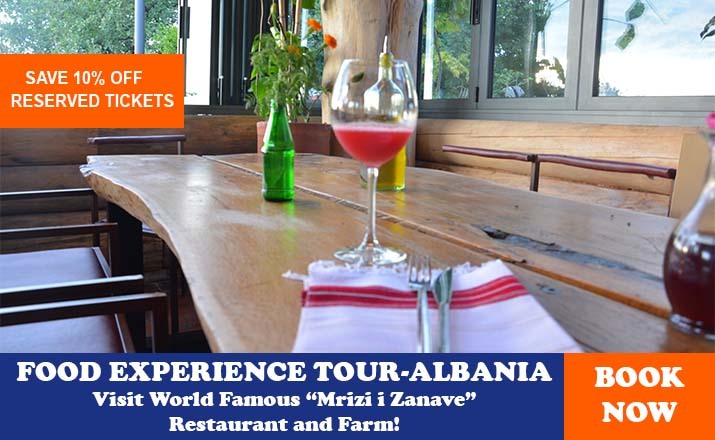 You will be able to see the first waves of Tara, rocks and grasslands, of Kuči Mountains, green reflections of Rikavačko Lake and stone peace of Cijevna canyon. One of the most popular tours in Montenegro will lead you along the south shores of Skadar lake, a postcard picture area. Altogether 110 km long, it is a real waste to rush through this tour for a day. Choose the autumn sun and its palette of colors, plan sleeping in Virpazar and experience the magic of water lilies, long boats, chestnut woods and sea waves and dessert. The other part of this tour has entered the list of the most representative, and the view on Skadar Lake from Pavlova strana, above Rijeka Crnojevića, it is reason enough to drive 54 km more. But is certainly not the only one. Summer is usual time for spinning pedals along mountain roads and paths, and the Skadar Lake surrounding and areas around Podgorica, Nikšić and Cetinje are most pleasant during spring and autumn. Huge number of sunny days make mountain biking in Montenegro is possible almost during whole year, the tours only need to be scheduled. It can be a downhill, trial, cross-country or usual cruising in the area on two wheels. If only it would not rain. NOTE: Basic narrowly defined zones in national parks, where bans on any kind of means of transport, except your own feet, are effective, all other highways, roads, and paths in Montenegro are open to cyclist. Passing through large and controlled tunnels is forbidden, and although it means prolonging the road for kilometers up and down the hill, this rule should respected. Most MTB tours are situated along carriage-roads of different quality all over the Montenegro. Some pass through places where people are fewer and fewer. One these roads, not only there is no crowd, but hours will be pass before you come across to anyone. In the area of Komovi that belongs to Kuči, Maganik, Sinjajevina, etc, places where shepherds’ call echoes are every so scarcer, silence is occasionally disturbed only by howling wolves. Bike ride is an occasion to discover a life in area that slowly disappearing. Stay away from automobiles and motorists. Some have the odd tendency to treat cyclists not as an equal participant in traffic but as a disturbance and hassle. Because of that unbelievable intolerance, a cyclist can easily find himself in a trench of shrub by the road. As one location paragliding fanatic said, terrain is wherever a hill with a little valley on the side exists, and in Montenegro, that means everywhere. Some slopes, especially ones above the sea shore, are popular because of the combination of heights, landscape beauty and easy access to the take off areas, especially landings on some of beaches. Other locations demand more hiking and caring of the equipment, but they derive an adventure worth every drop of sweet. The adventure of sky silence over mountain’s tranquility, flying over ground that is rarely walked over. Probably the most popular take off area in Montenegro, both because of the easy access to the start, as well as the possibility to fly over Budva Riviera. The start is at 750m of altitude, which short and rocky flying field of small inclination. Wind stronger than 4 m/s causes a lot of turbulence at the start, which is combination with the take off area makes this location not so suitable for beginners. The most frequent zone for landing is Bečići Beach, and the slope is mostly south oriented. To take-off area is on a wide slope, overgrown with grass, in Bijele Poljane, close to the Adriatic Road. 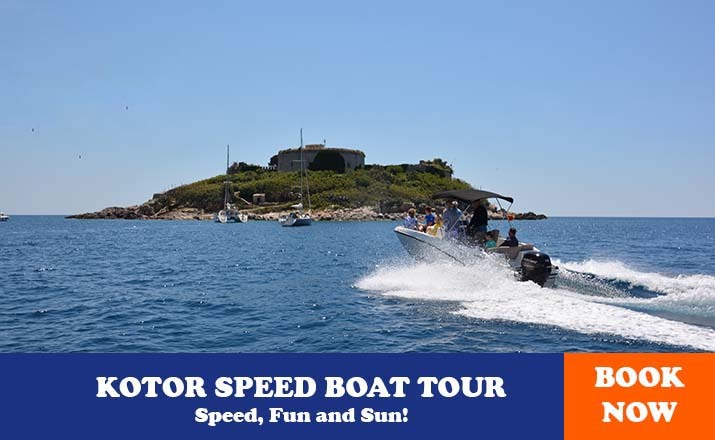 The start is at 687 m above the sea-level, the slope’s orientation is dominantly southern and unlike take of areas in Brajići, it is very suitable for less experienced pilots. From the very beginning, it is reachable by car, and the landing zone is a beach is Buljarice. Radoštak dominates over Herceg Novi and Risan Bay, as Orijen’s narrowest cliff. A take-off area is at 1450 m of altitude, pretty rocky and short, situated about two hours of walk from Motel Borići. Slope is mostly south oriented, and a landing zone is most often Sutorina of the beaches in Zelenika and Igalo. A little bit underneath there is take of area in Dizdarica, at around 850 m of altitude, which the same slope characteristics and landing zone. Durmitor is not lacking paragliding terrains, question is whether you are in a mood to carry the equipment on your back. For those without these ambitions, flying field on Savin Kuk is a perfrct solution. Under the very field, at 2300m of altitude, arrival is arranged by cable car, and when it’s not operational, there is a good mountain path. East and south-east oriented slope is opened to the upland of Jezera and represents a start of the south barrier of the entire massif. Landing zone is beneath, at 1480m of altitude. Popadija is a peak on Prokletije, on the Albanian border. It takes two hours to reach this peak by path that starts at Grbaja mountain home. Flying field is wide and grassy, at about 200m above the sea level and depending on the wind direction it is possible to glide over the north or east slope. Landing zone is a big field, very near at home, but considering the closure of the valley, you should count on pretty strong turbulence. During the landing, be mindful of the local transmission line located in the middle of the valley, in the north-east direction. Flying here is maybe the easiest way to understand why many consider Grbaja valley to be the most beautiful in Montenegro. Considering the strength and frequency of the winds, the most pleasant period for paragliding in Montenegro is summer. That doesn’t mean that this sport should be forgotten in other seasons. Although there are far less days with optimum weather forecast, autumn colors of the woods or glistening of the snow covered areas is pretty good to be patient and wait good flying conditions. NOTE: Although there is officially no standardized fee for paragliding in this area, to be on the legal side of carefree flying, you should always carry a verified license with you. It can be odd, but many power lines and electrical transmission systems are not all or are wrongly identified on maps. For a paragliding pilot who wishes to mingle with local birds it is very important to examine a complete planned flight path on his own, from the take-off to the landing zone. It is one thing to mingle with little feathery in the sunbathed air, another altogether to be on the wire under high voltage. Base jumps are being made on natural locations or building that, by their height and inclination, provide safe fall and parachute opening. Although lower limit goes around 40m, the most interesting jumps require at list few hundred meters. Except the chimney of power plant in Pljevlja, in Montenegrin cities there are no buildings for the safe jumps. On the other side, its mountains and canyons don’t lack in heights suitable for base jumpers. Bridges on Đurđevića Tara and over Mala Rijeka, have already heard of the sound of parachute opening. The railway bridge over Mala Rijeka, with its height of 224m, is the one of the highest bridges in Europe. Problems for jumping can be wind that is frequent in the canyon, as well as rocky and small landing. The bridge in Đurevića Tara is 156m meters high (the biggest arcade) and landing is on the small islands in the river formed while low water in summers. It is interesting to mention that there were jumps made from the second arcade, 45 meters high. Except bridges, all the other Montenegrin base jump location is situated on the mountain rock faces. So far, there have been jumped on Prokletije and Durmitor mountains, from Djevojačka stijena in Raopojana valley and Savin Kuk. Djevojačka stijena (maiden’s rock) is characterized by 700, of elevation, overhanging nature of upper rock part, relatively undemanding exit and spacious and flat landing. That promote it intro, so far, most attractive base jump location, especially since the jumps with wing suite here lasts cca 25 seconds. As potentially interesting, there are also Ćurovac over Tara canyon, Boljske grede and Prokletije’s peaks Presto,Koplje and Maja Vojušit. Although the discipline could take place in any season, calm weather is obligatory condition. In the spot, where the slightly stronger wind can lead to disaster, good weather forecast is indispensable. NOTE: Just received sport parachutist’s license here worth’s nothing, only the experience of very many jumps can prepare you for this adventure. In Montenegro, 348 bird species has been registered so far (of the total 533 registered in Europe until today or 65% of the European bird fauna), including Turnix sylvaticus, whose appearance remained suspicious. Also, the presence (for example: Fulmarus glacialis) and the status of some species (for example: Carpodacus erythrinus) was determined on the basis of the findings of authors, which have not been published yet. Out of the total number of bird species registered so far, 213 species belong to the certain breeding and seven species are possible breeding, while ten are considered to be extinct, such as for example, Aegypius monachus. 106 species are considered to be resident, i.e. species which spend the whole life cycle in Montenegro. This number includes two species that are introduced (pheasant and chukar). 107 species of birds registered in Montenegro are breeding migratory birds. The occurrence of 21 species, such as Tetrax tetrax, represents a historical data, because for at least 30 years back they had not been registered on the territory of Montenegro. Out of the total number of species (348), 266 species are regularly seen in Montenegro, while 14 species are occasionally seen. The richness of bird fauna of a country is viewed through the total number of registered species or, more often, trough the number of breeding species. In Montenegro, the density index of breeding species, which represents the ratio between the logarithm of the number of breeding species and the logarithm of the country's surface area, is significantly above the Balkan average (0.435) and it amounts 0.563. This is contributed by the diversity of habitats: from the sea coast, across the salinas, freshwater lakes, semi steppes, canyons, dense forests, mountain plateaus and high mountain peaks. On the other hand, Montenegro is located in one of the four most important corridors for birds in Europe - Adriatic Flyway, through which millions of birds annually migrate to Africa and vice versa. In comparison to other European countries, the number of 213 species that breed in Montenegro is relatively high, taking into consideration that Montenegro is one of the smallest European countries. For example, according to its surface, Montenegro is on the 39th place, while according to the number of breeding birds at 22th, just below Hungary, which is nearly seven times larger than Montenegro. Also, Montenegro has more breeding birds than the United Kingdom, the Czech Republic, Portugal, Denmark, Slovenia or Switzerland, for example. First preview of the ornithological richness of Montenegro in the form of a list of bird species was published as the Catalogus faunae Yugoslavia by the Academy of Sciences and Arts of Slovenia in 1973, as pertaining part of the Catalog of the bird fauna of SFR Yugoslavia. Later, the bird fauna of Montenegro was elaborated in the context of the Diversity of Bird Species in Yugoslavia, with an Overview of Species of International Importance in 1995, and, finally the List of Birds of Montenegro with Bibliography, which represents the first independent paper related solely to its territory. Due to the lack of field research and the large part of territorial non-coverage, many species in this list have been rated stricter than it would be the case in the field. This List of Birds of Montenegro is subject to a revision and all scientifically proven feedback is more than welcome. The most interesting areas of bird watching are Lake Skadarsko, Lake Šasko, Bigradska Gora and saltpans of Ucinj and Tivat.